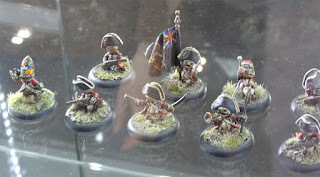 Chez Darkvernon: Don't forget to Salute! 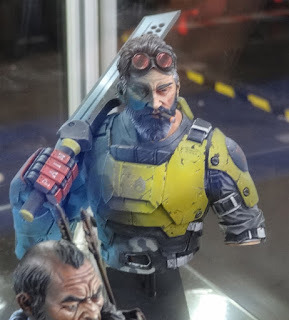 Well hi there. 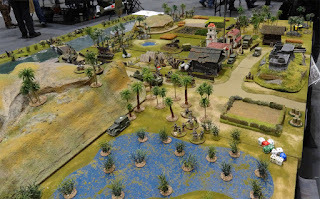 So As promised last time, a new article, and this time directly and only in English. 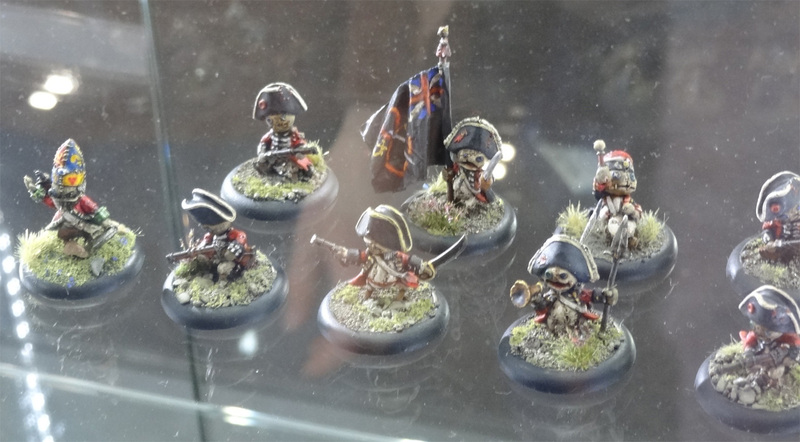 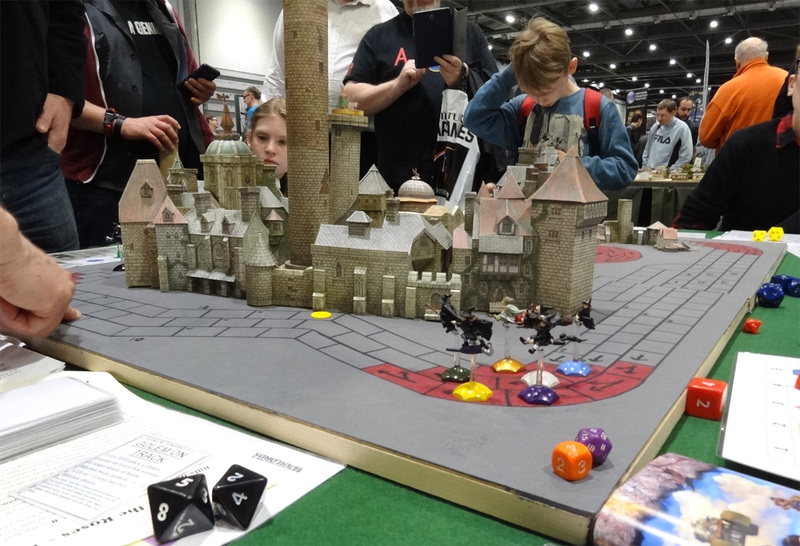 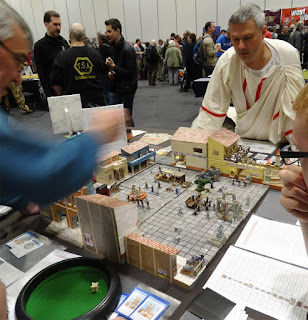 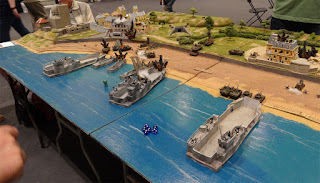 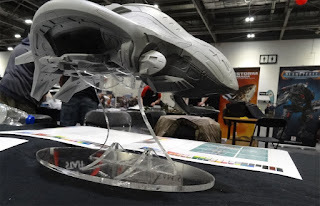 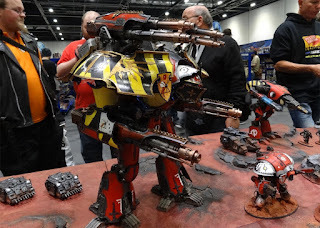 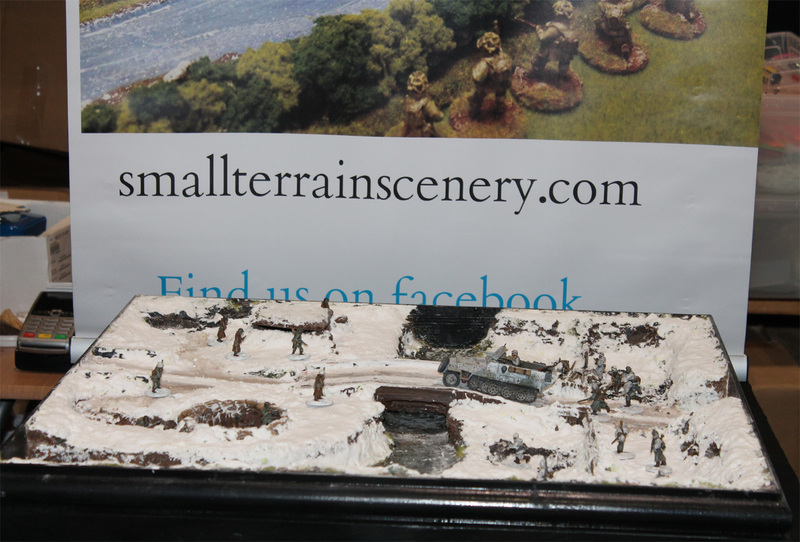 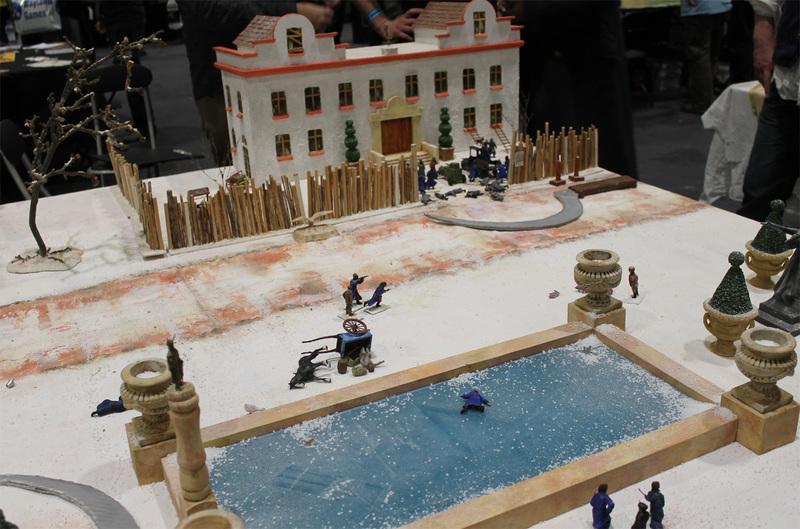 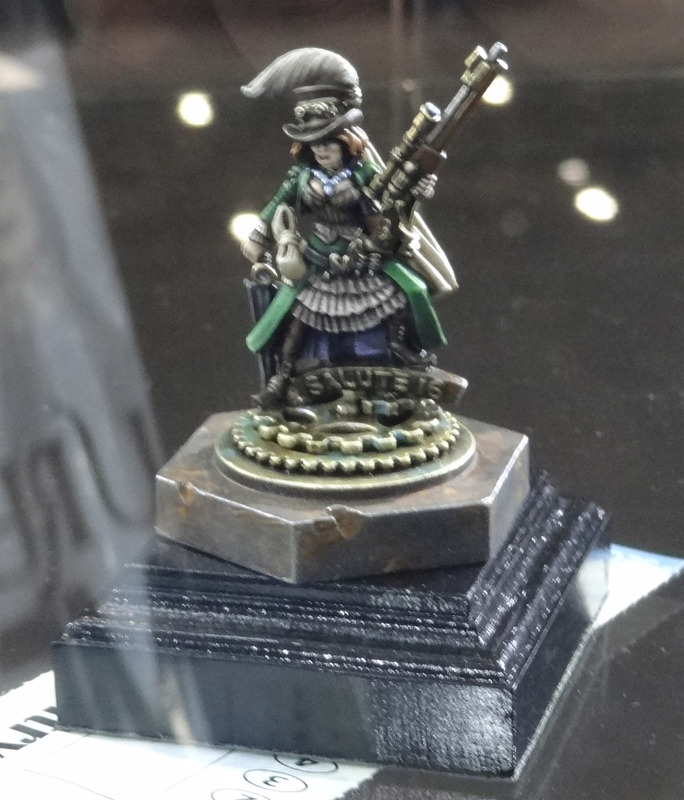 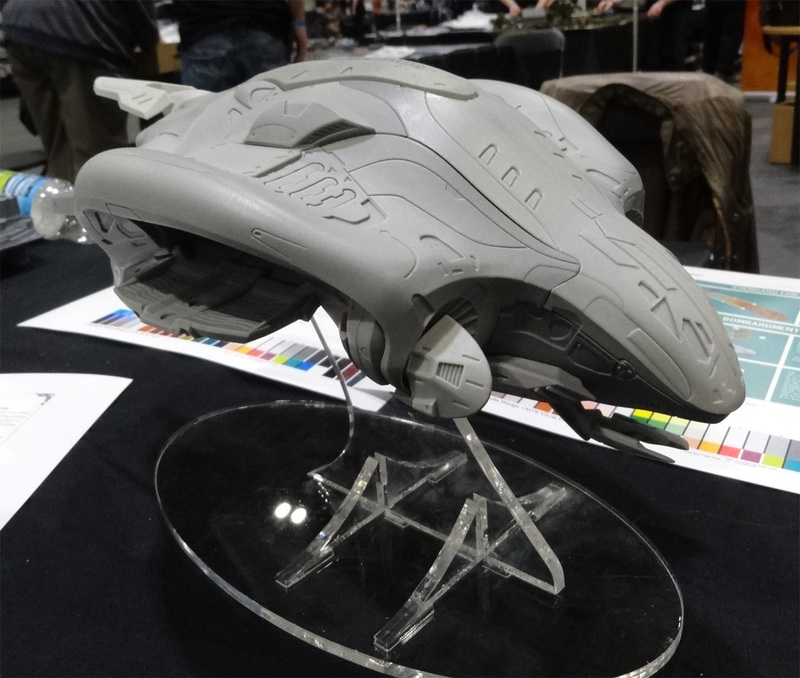 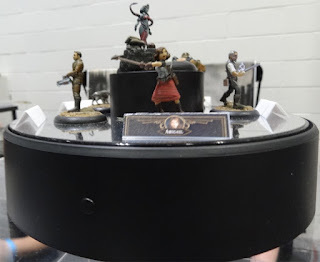 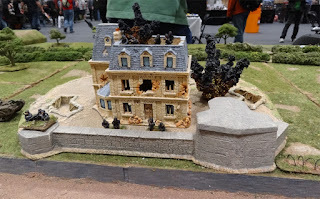 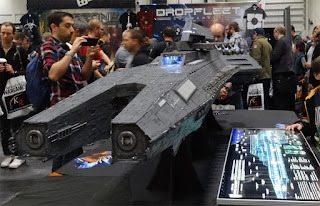 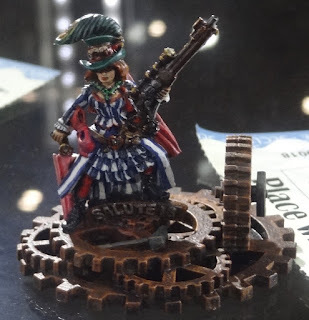 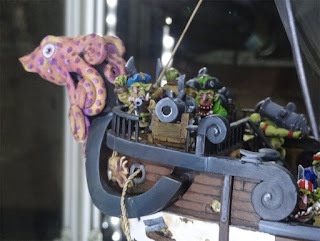 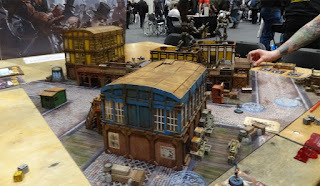 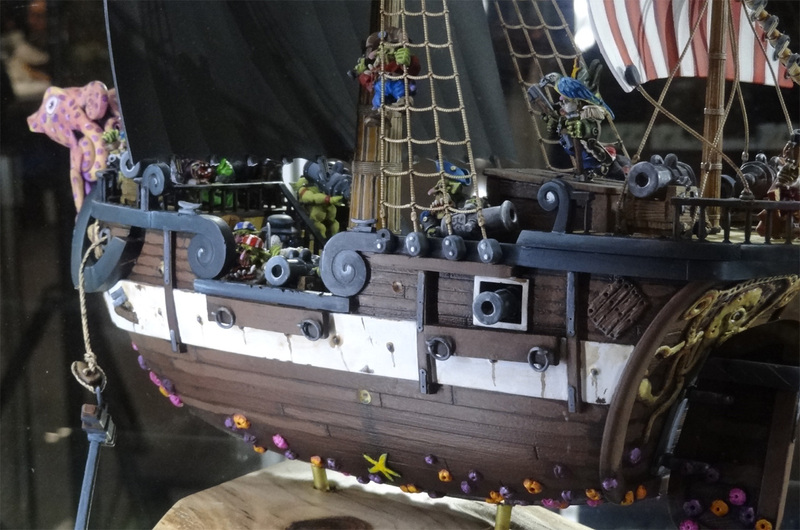 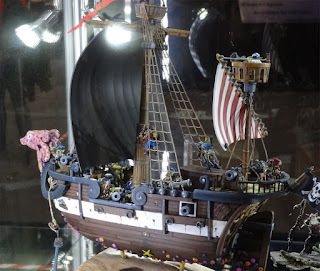 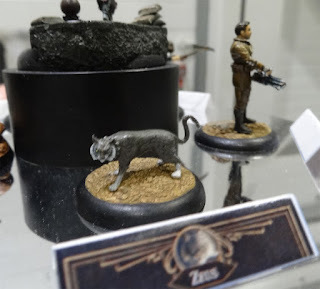 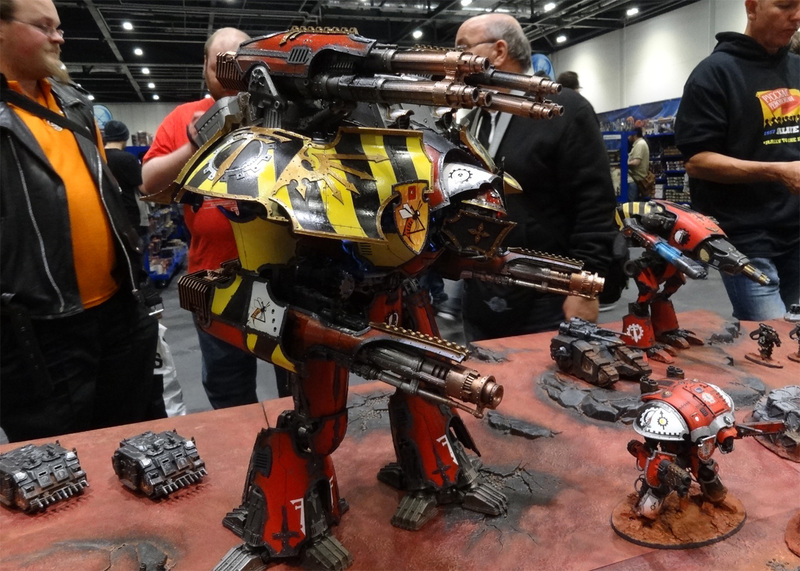 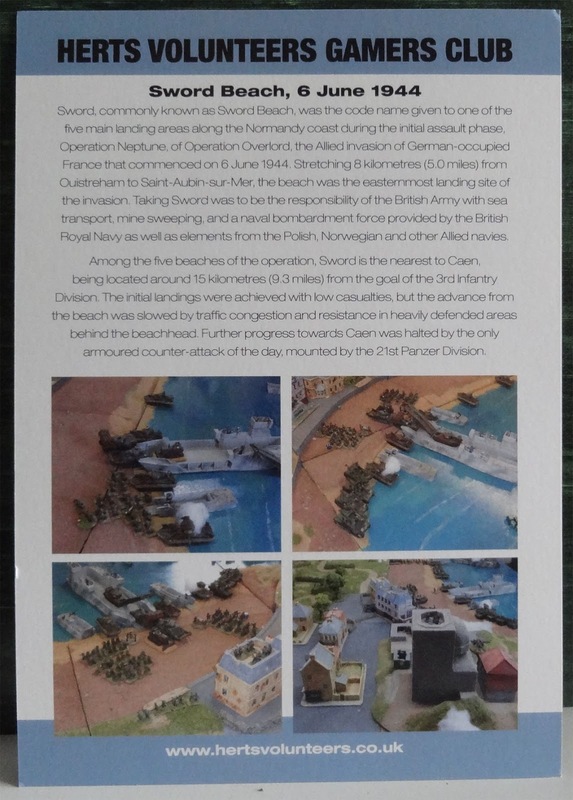 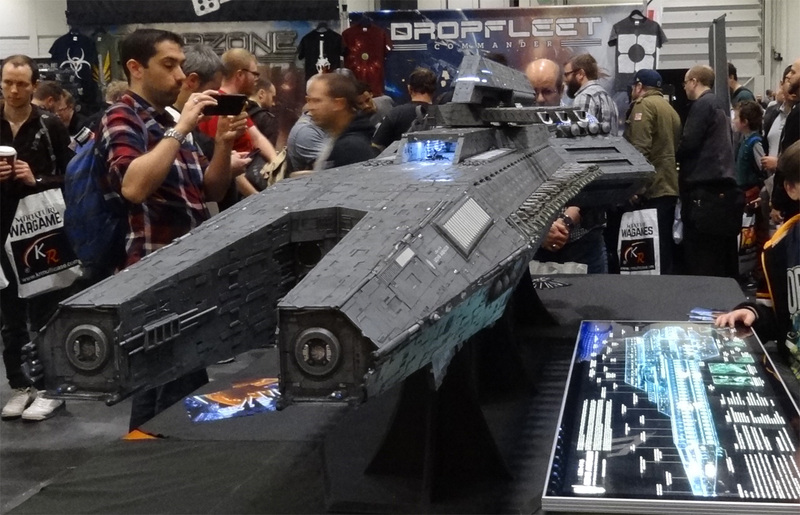 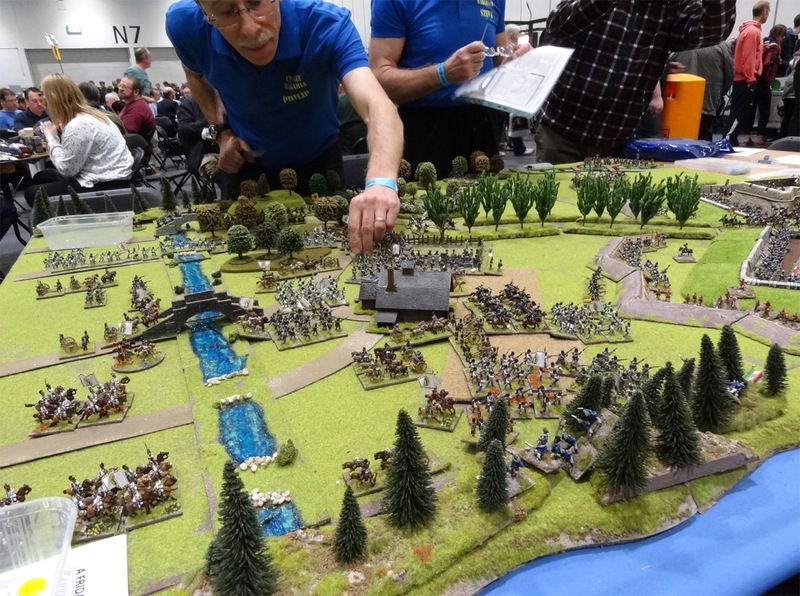 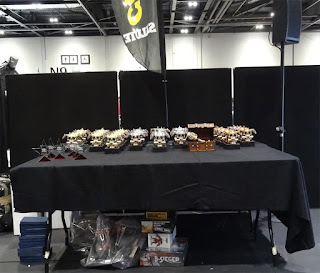 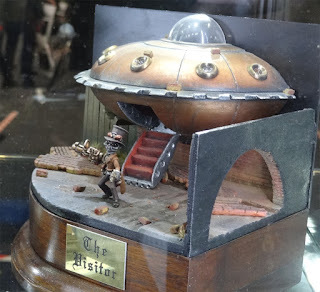 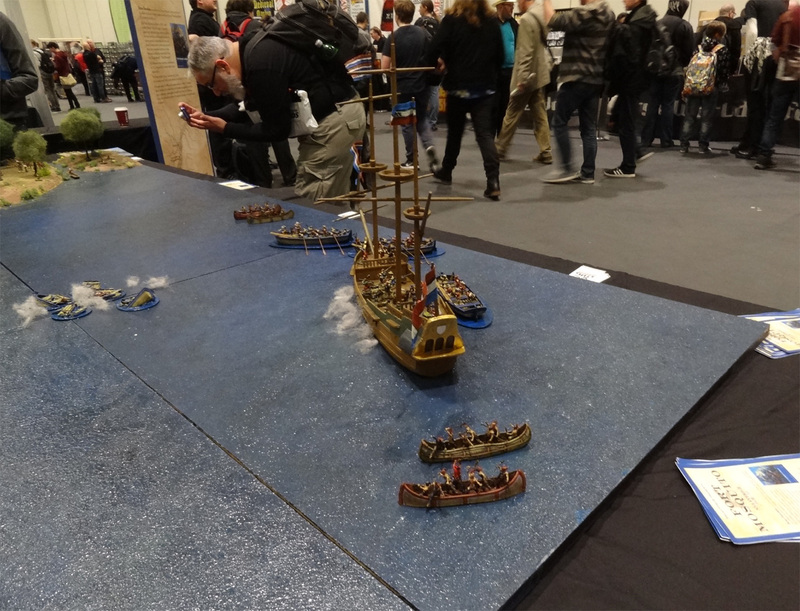 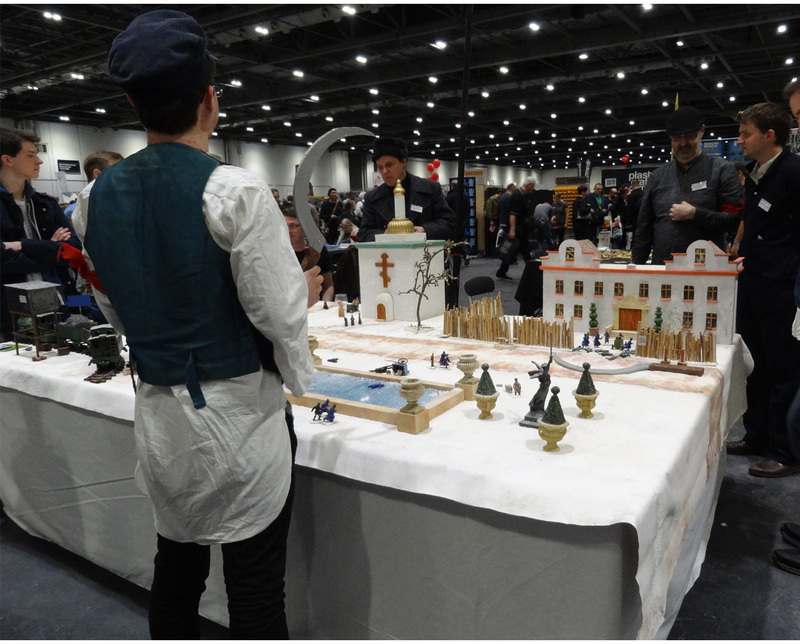 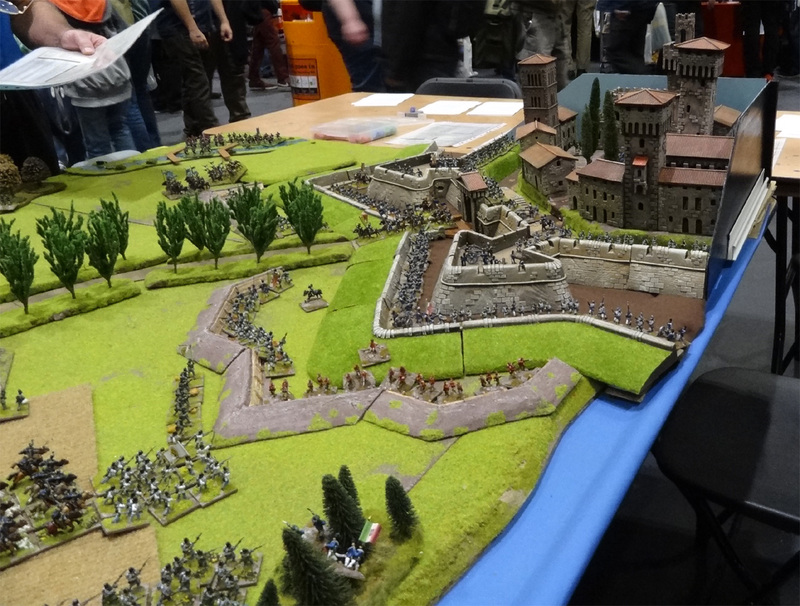 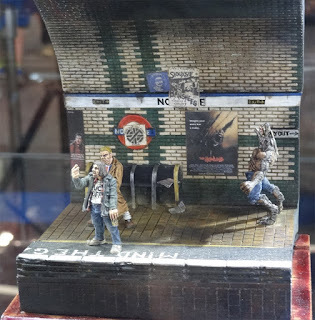 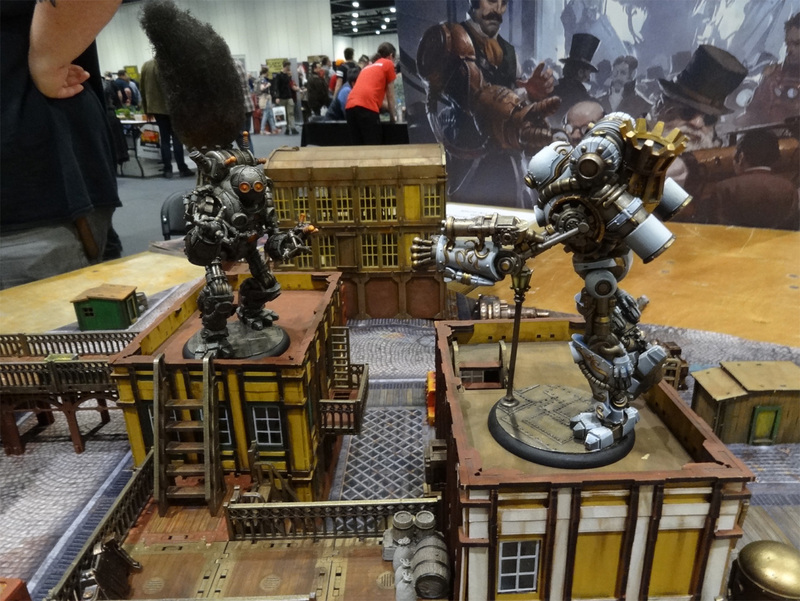 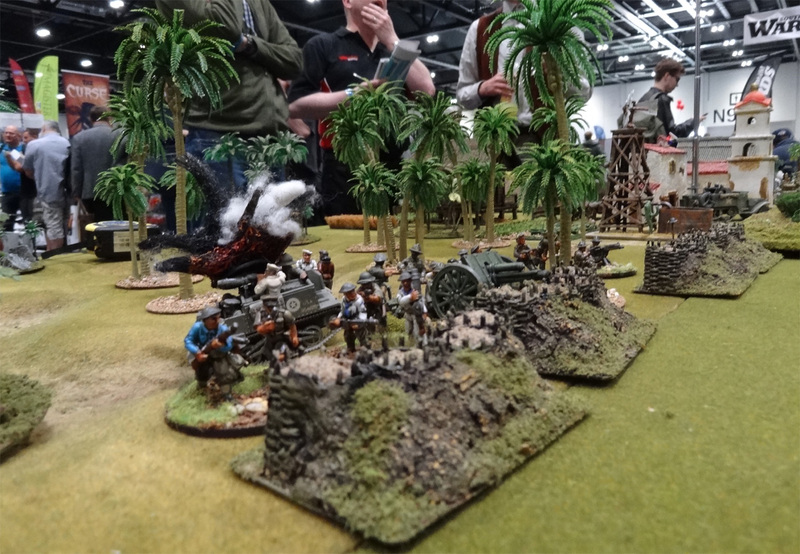 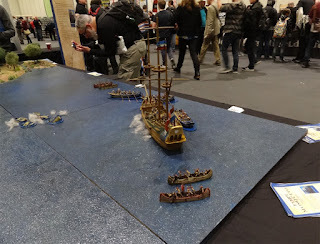 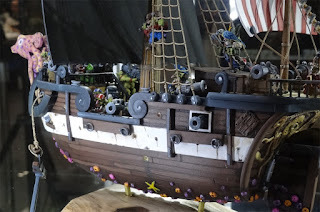 So, as you know, last year was a falling in love at first sight kind of thing with this wargaming miniature salon (I blame it on the fact that it takes place in my favourite city in the universe, namely London...). 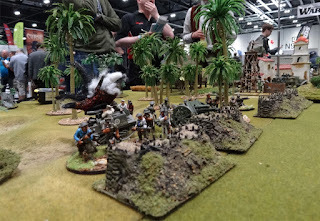 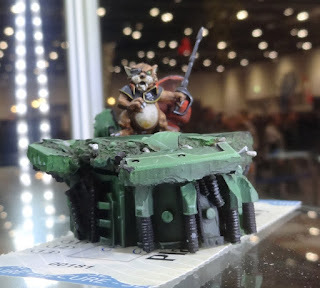 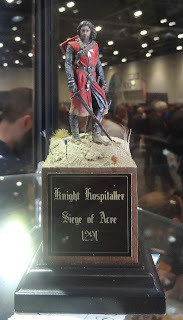 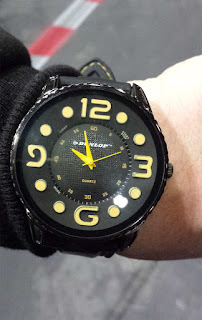 So I promised myself that although it was my first time at Salute, it would certainely not be the last. 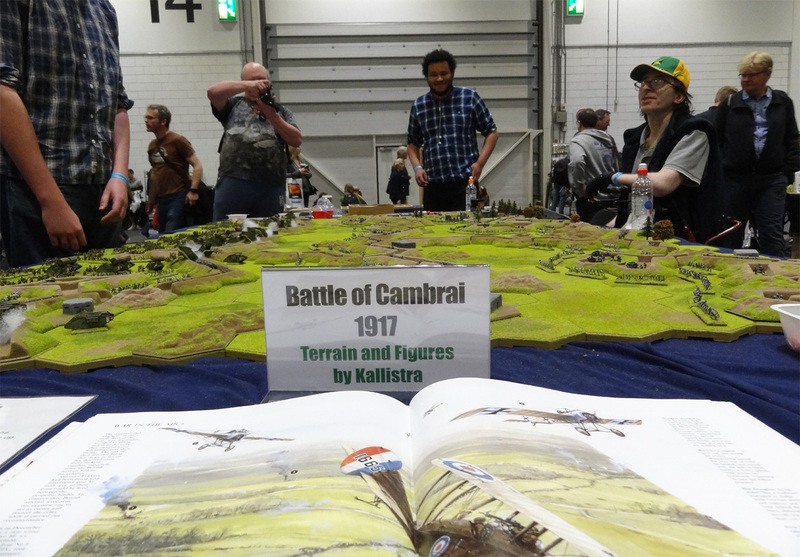 So, although it was almost a close shave as to my finally being able to make it, I was ready for Salute 2017. 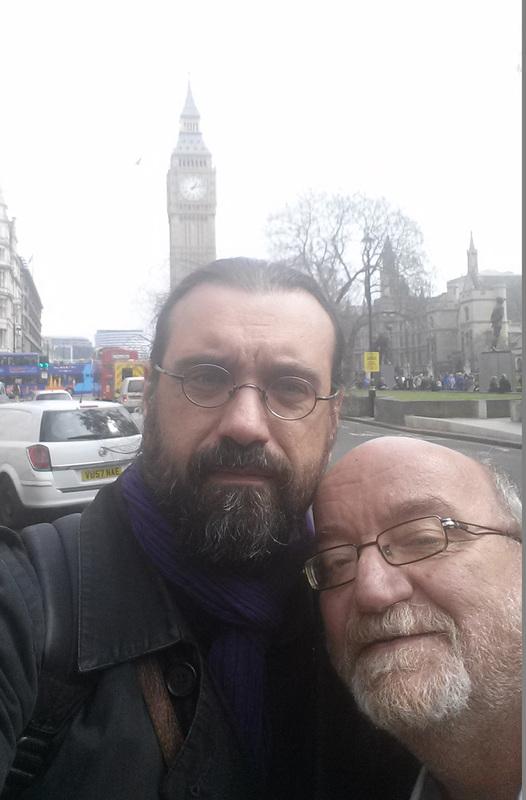 Since my uncle has become quite enthousiastic about London himself, we decided to take a few days off together and play tourists. We arrived on Thursday, went around sightseeing (bloody tourists!!!) on the afternoon and, after meeting with Andrew, visited the RAF museum on the Friday(and that is quite a visit! 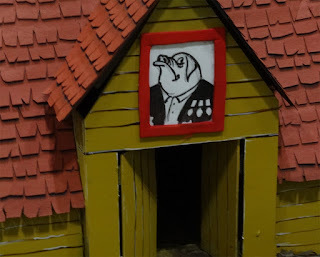 Next time you have some spare time, please, go visit this museum, it's brilliant! 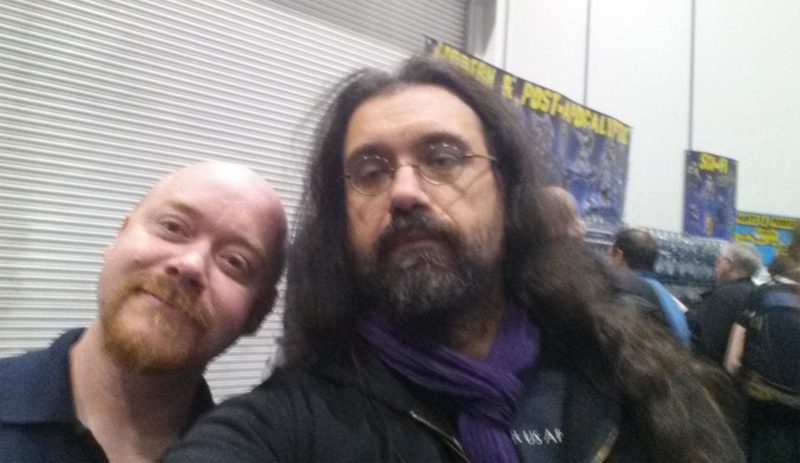 ), and finished the day with some nice friend ( once again, many thanks, Dimitri! 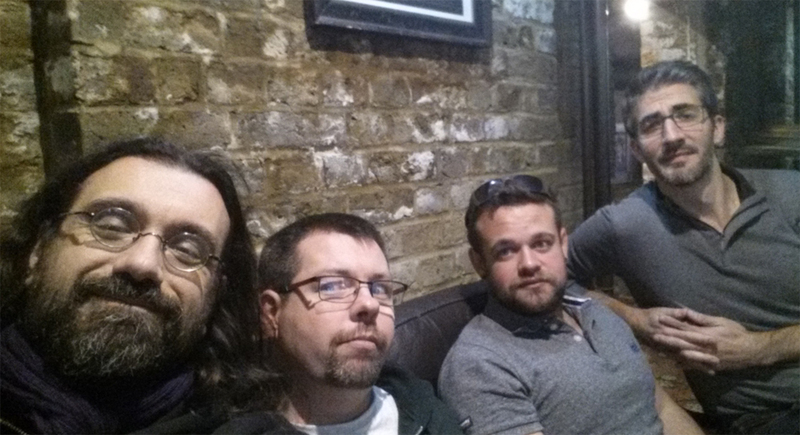 Nice pub, nice pad thai and great chat! You're welcome in France anytime!!!). 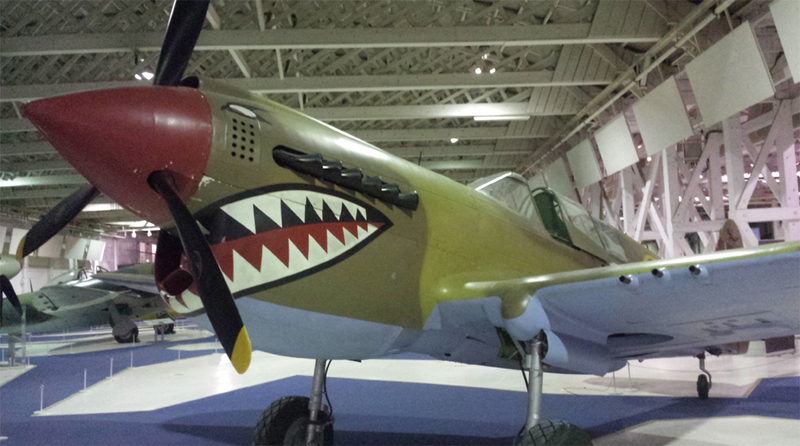 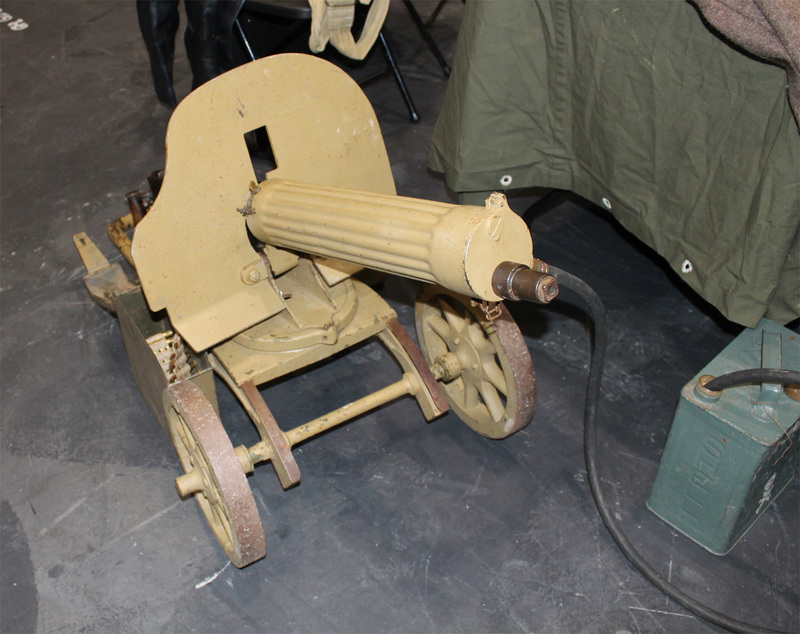 Only one little sample of what you can see at the RAF museum!!! 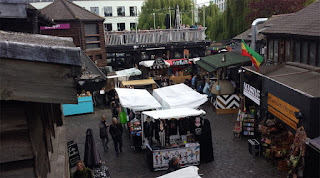 Camden Town, one of my favourite places in London!!! 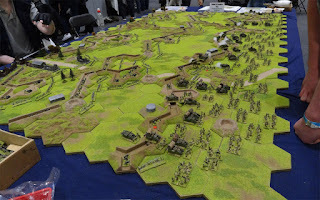 And here was D-Day! 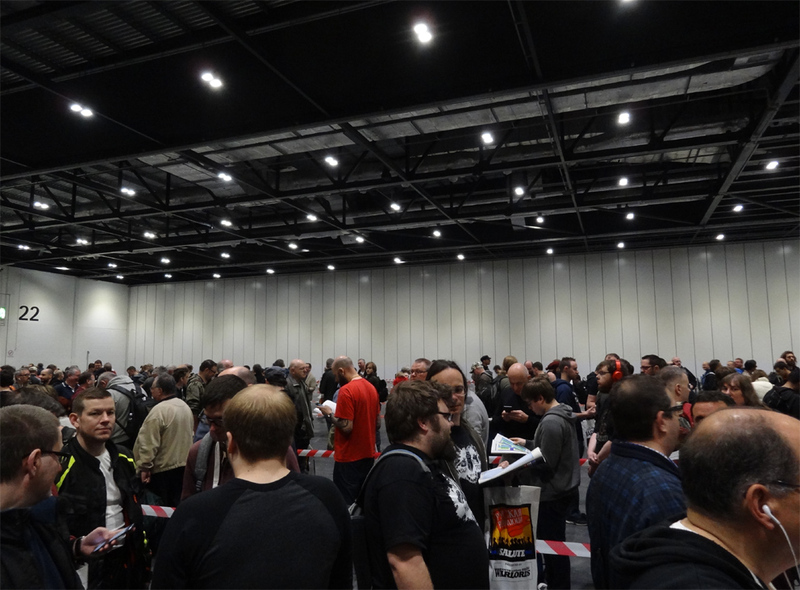 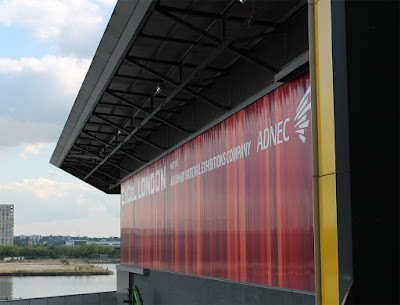 Saturday, April 22nd 2017, Excel Center, London! 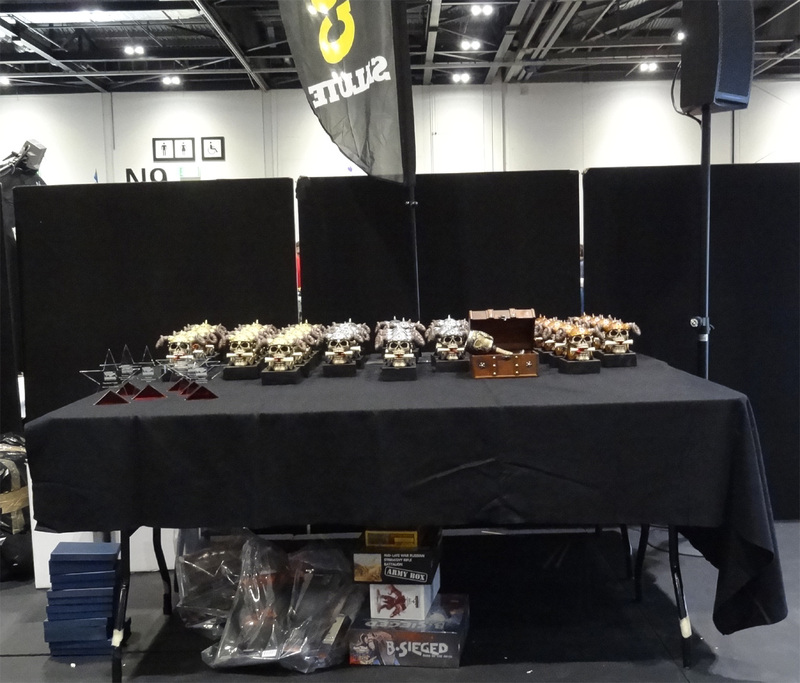 Ready for a day of wargaming madness!!! 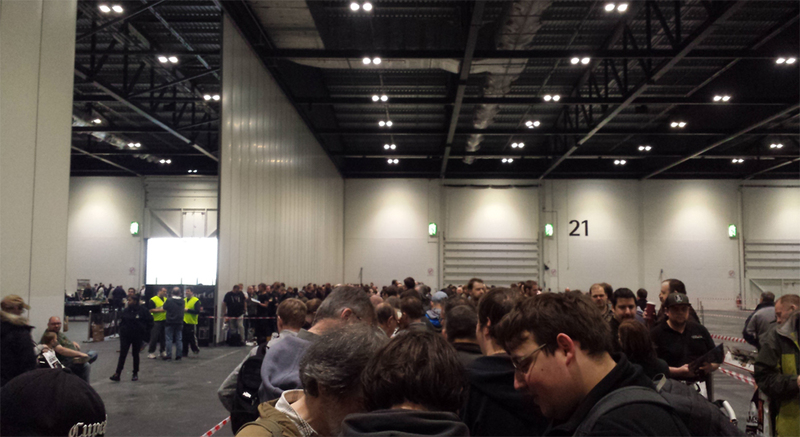 First, the wait in line, time to discover what's inside the loot bag. 10 O'clock sharp, the gates are openning! 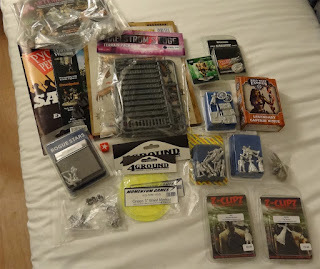 I had some shopping to do for myself, and for some friends, and that was programmed. 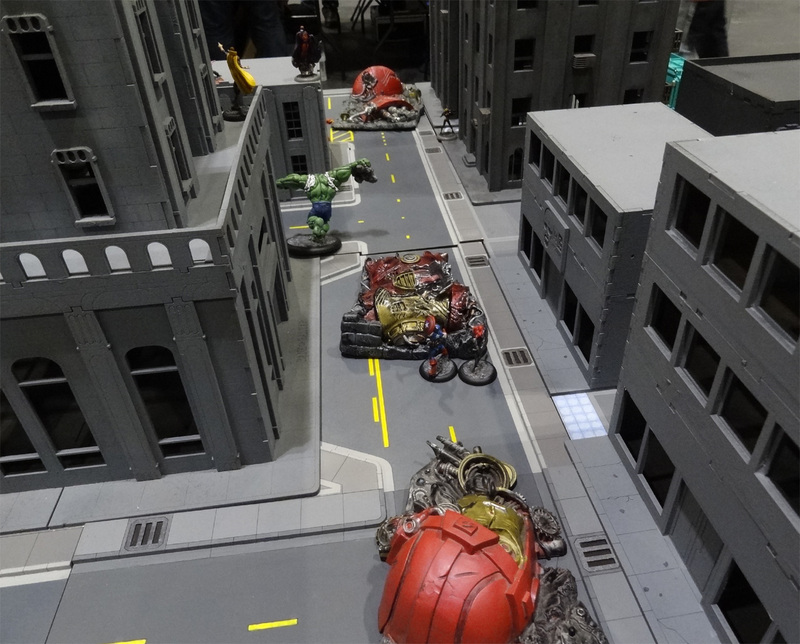 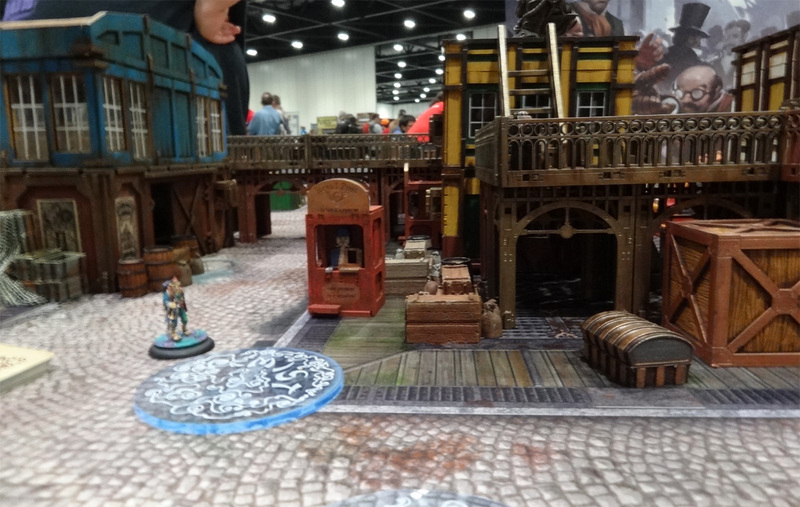 But I let myself wander through the alleys, gorging my eyes ont the wonderful table boards, and fantastic painted minis all around. 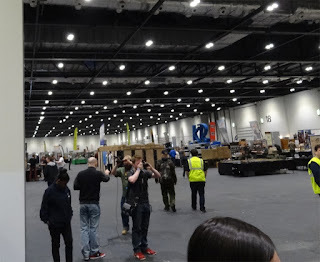 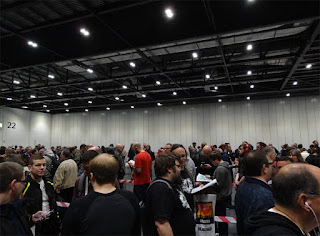 From a visitor's point of view, I felt there waw a bit less exitement than last year, and maybe a tiny bit less people (but that remains to be checked on the South London Warlords...). Among this year noticeable features were a great X-Wing table board by the guys from Element Games (which I don't have a decent picture of, since I'm a complete failure with a camera...) recreating the Scarif battle, an Animal Farm Demo game, a 54mm participation game about the Russian February Revolution (this year Salute's theme, demos of the brand new Doctor Who miniatures wargame by Warlord and the Battle for Sword Beach in Normandy (among many others...). 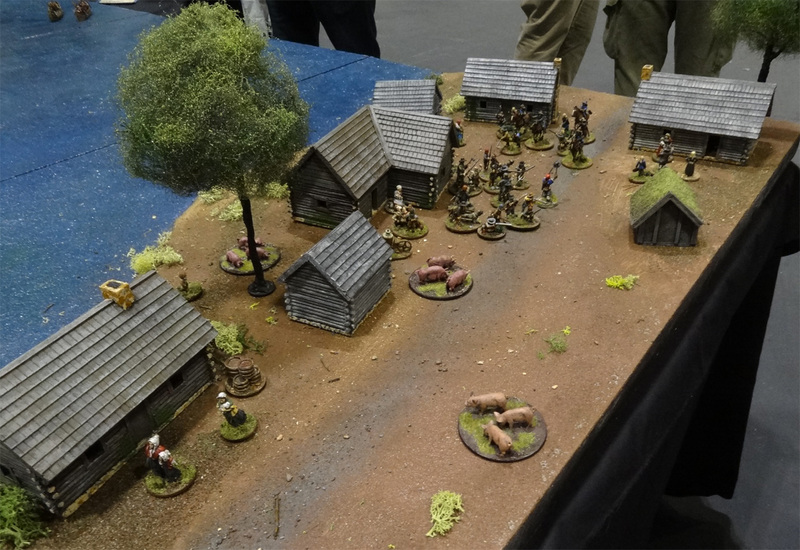 First table board, first shock! 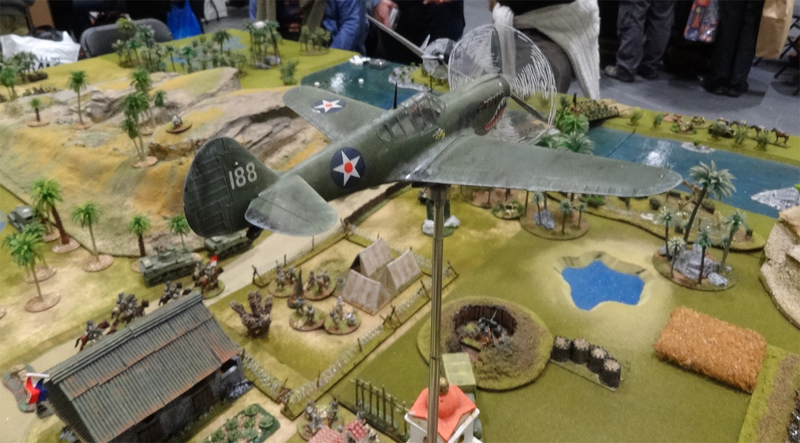 28mm Fort Mosquito 1654. Swedish battle Dutch colonial forces in Delaware! 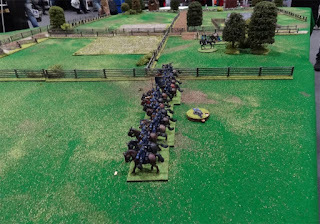 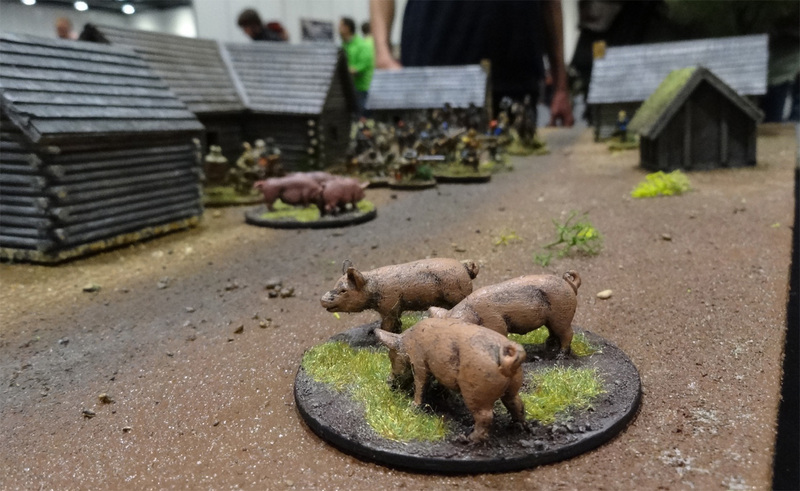 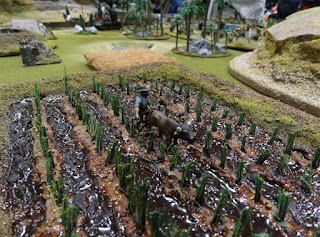 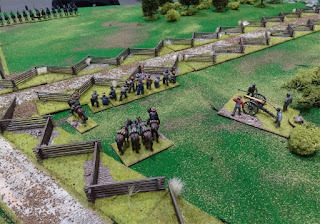 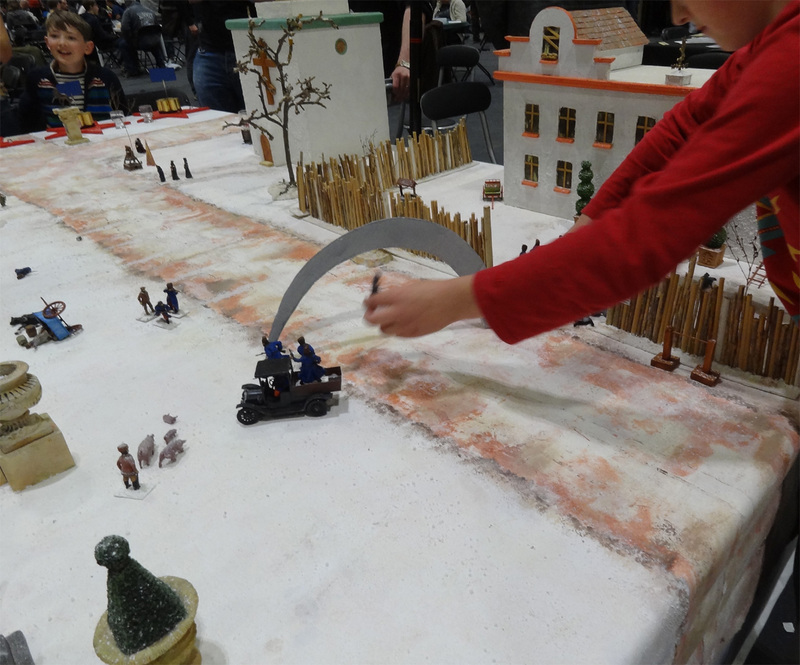 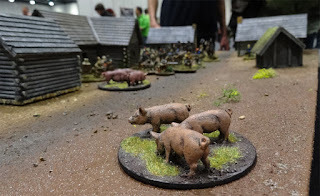 Next is a 25mm demo game by Gatehouse Wargames : Pearson's Farm, set in an time very important to me (once I'm done with my different projects -- say, in a century or two -- I'll go for a ACW table board! I love this period of history...) : American Civil War! 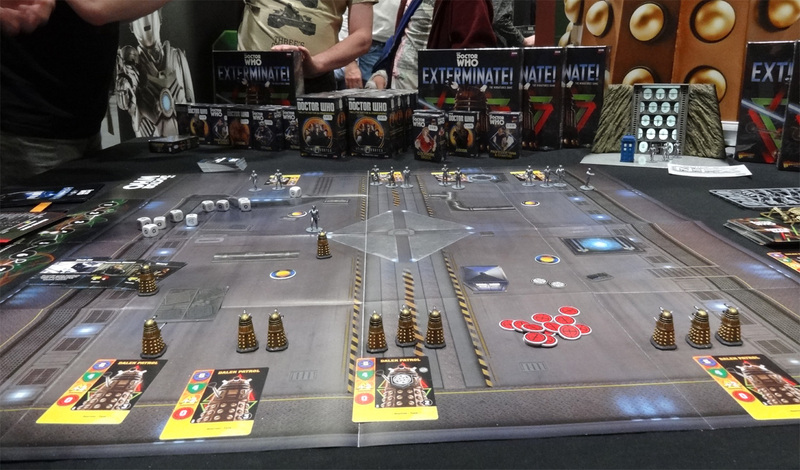 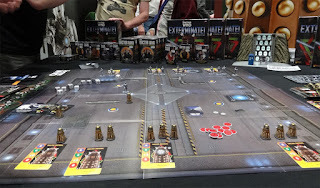 Warlord Games were launching their new game on Doctor Who. 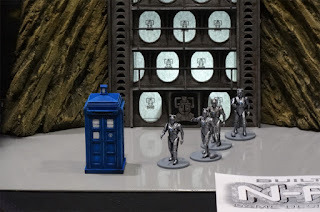 The "core box" contains all you need to play a battle between Cybermen and Daleks. 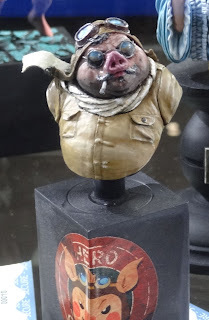 I can tell you it's been a proper heart-rending suffering not to give in and buy this one. I've been a fan of the tv-show for years, and the figures are gorgeous! 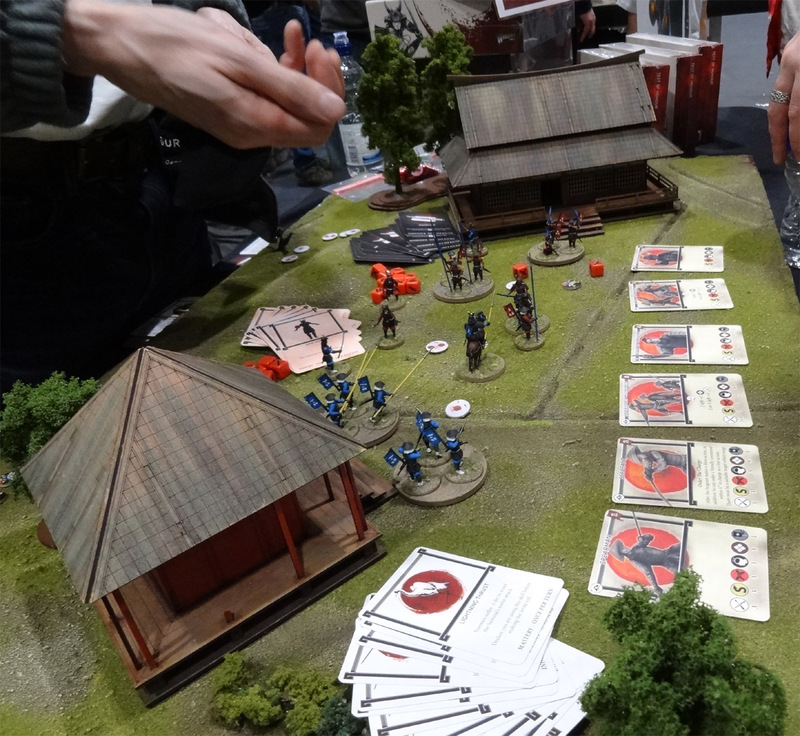 There was also a little demo game for their other latest release "Test of Honour" set in medieval Japan. 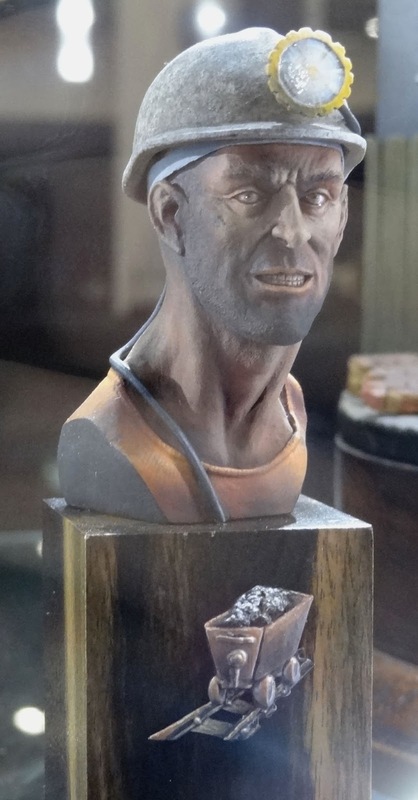 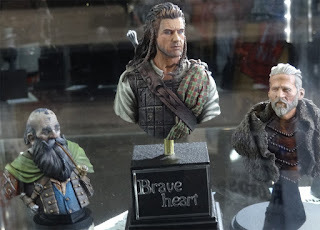 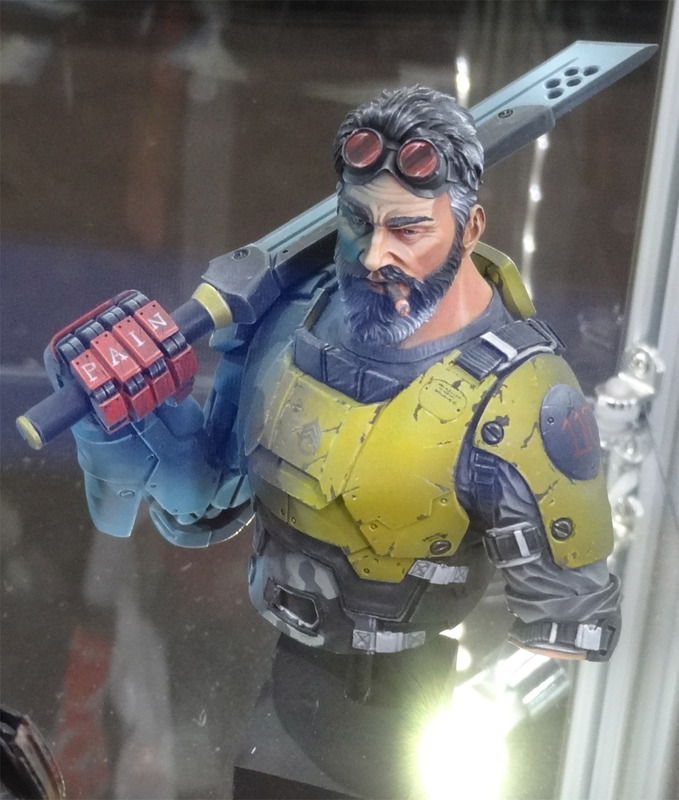 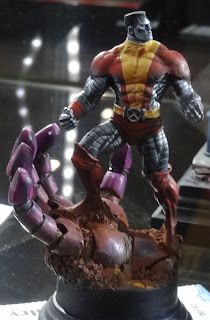 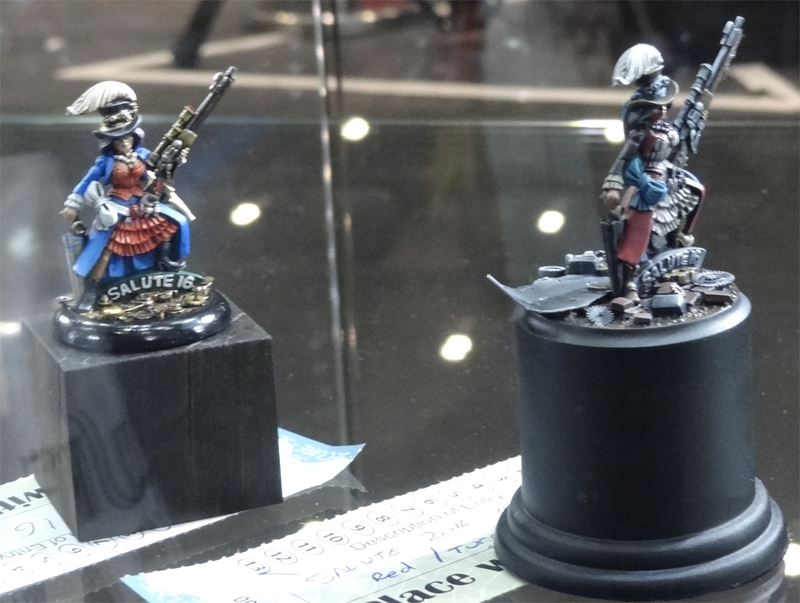 I'm not a big fan of the sculpts nor of the time period, but the game seems interesting enough. After that, I went around, and made a stop at the Hasslfree stand, to buy some nasty beasties for my Rogue Stars games and took a little selfie with THE Kev White. 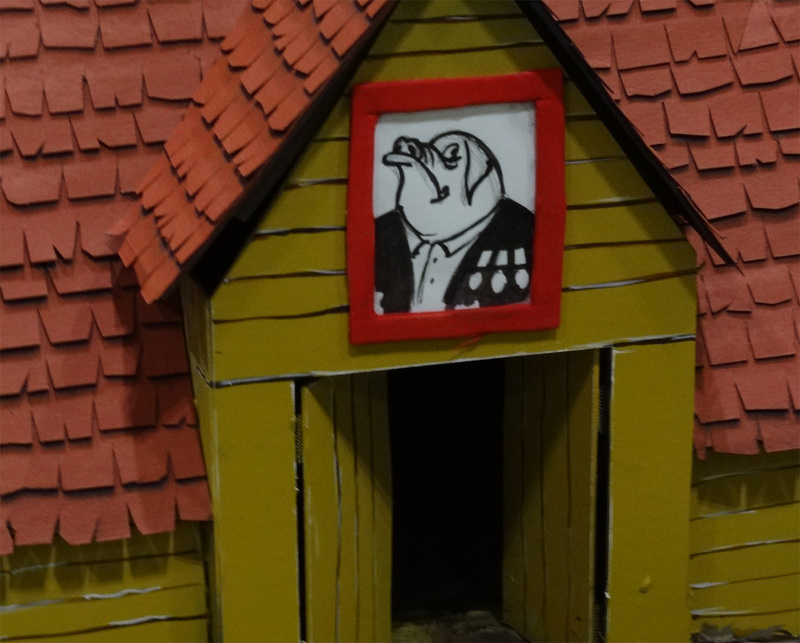 He and his compagny are among what's best in England. 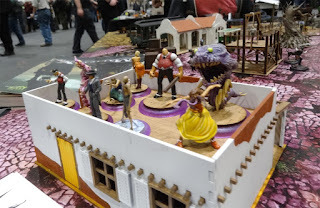 The figures are great and can be used for so many different games (espaecially Fantasy and Sci-Fi)! No to mention that Kev (and his lovely wife Sally) is such a nice fellow. Love you guys! 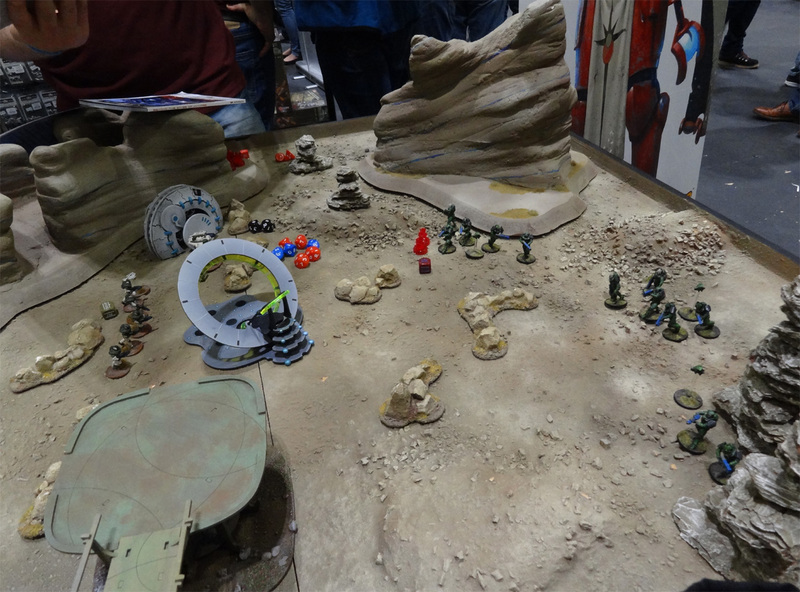 Some more Warlords on a demo/participation board of Beyond the Gate of Antares. Seeing the latest Algoryn releases, I knox I'm going to fall for this game before the end of the year (that'll be probably the excuse to dust up the old 40k stuff. 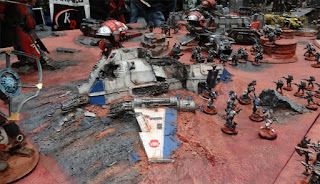 I can't stand the current 40k set of rules -- yeah, even the not yet released 8thEd -- so BTGOA will be a perfect set of rules to play 40k)! 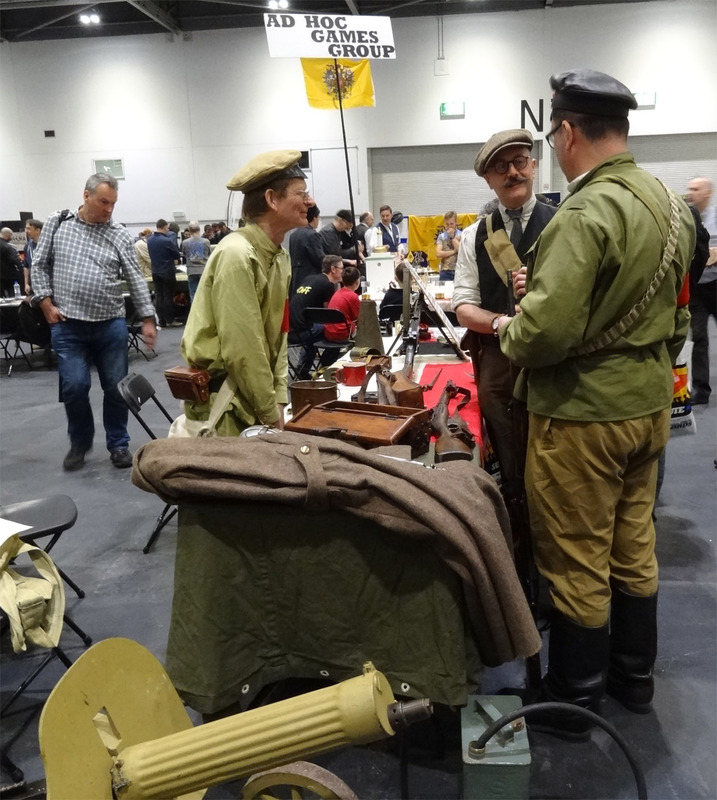 The Ad Hoc Games group were presenting a table in relation (well, almost) with this year's Salute theme : Nick the Tsar II. The game is using an uncommon gaming scale : 54mm. 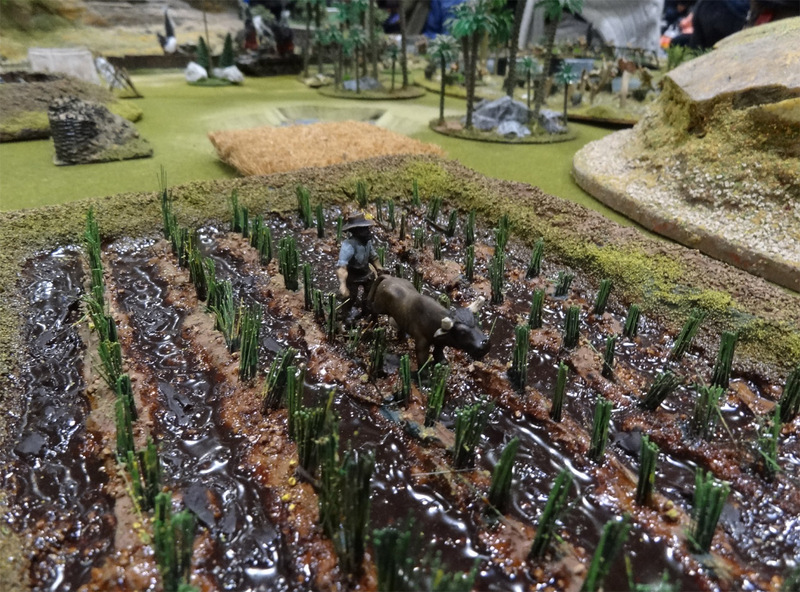 They used home-made sickles as range-finders and rulers. 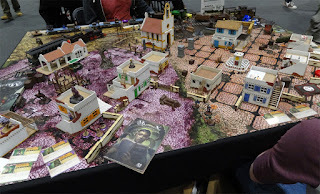 The size of the table was quite impressive, and the game seemed fun! 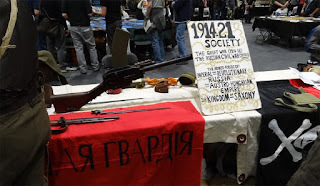 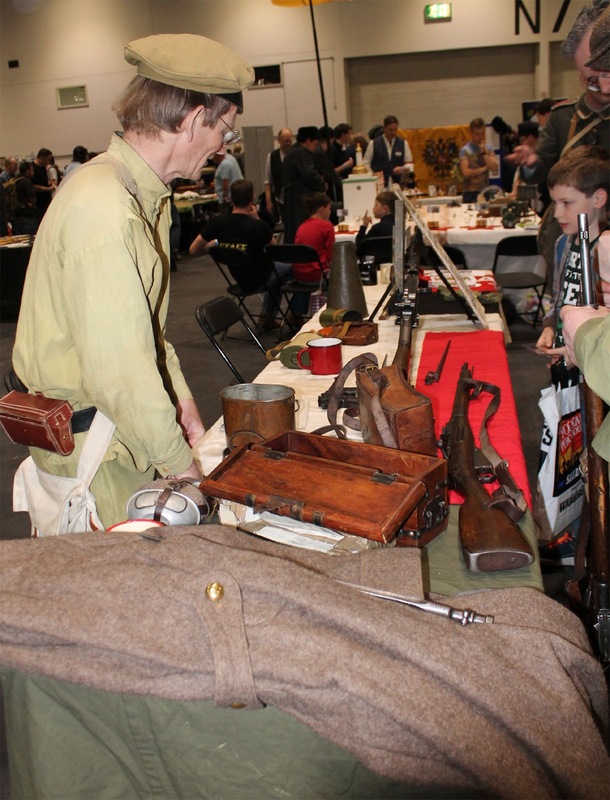 Next to them was a society of re-enactors, the 1914-21 Society who presented some paraphernalia directly in relation with the February Revolution. 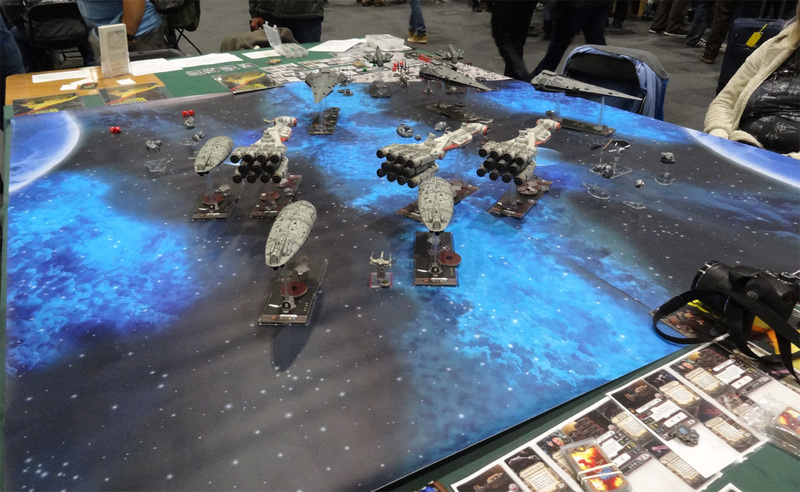 The Ilford Gaming Group had a huge epic X-Wing game. 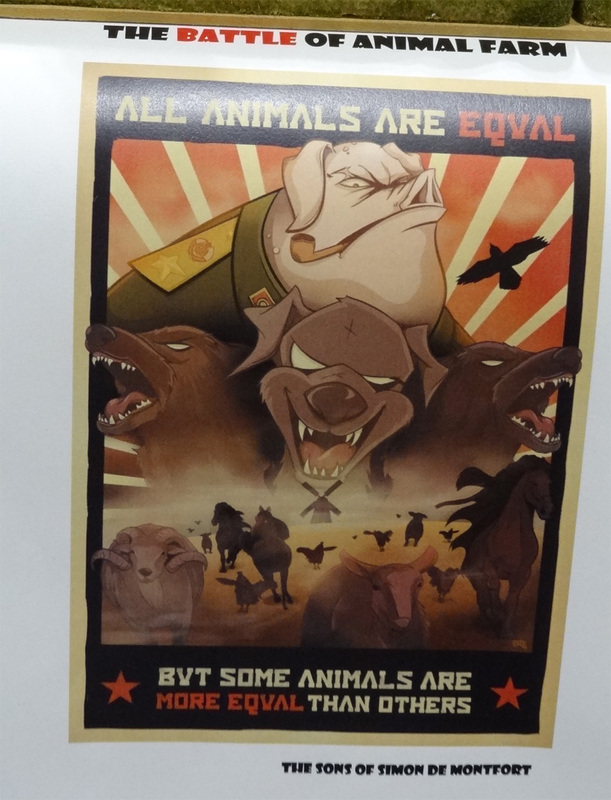 The Sons of Simon de Montford presented a really original demo game, using the famous George Orwell's Animal Farm as a setting. 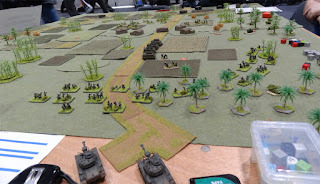 This was real blast! I found this table quite funny : it depicted a race between broom-stick-riding witches. And guess what : it's set in the Discworld setting (by the Grantham Startegy and Gaming club). 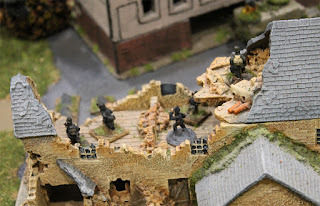 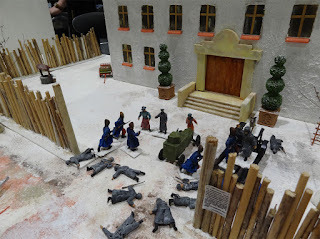 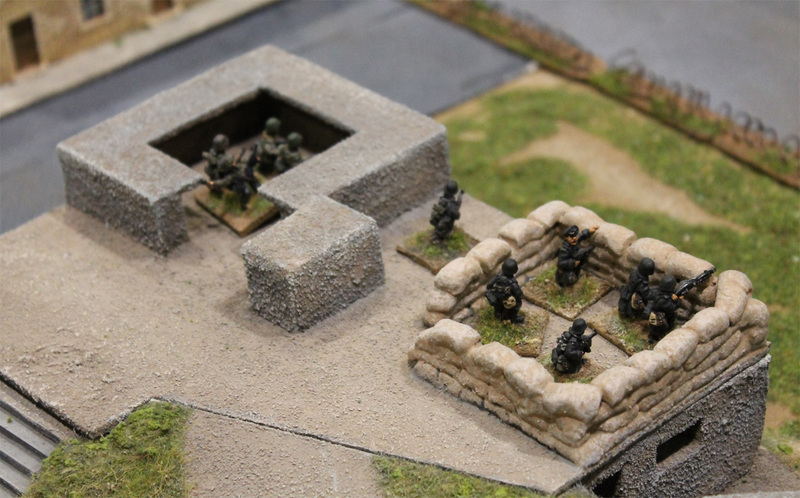 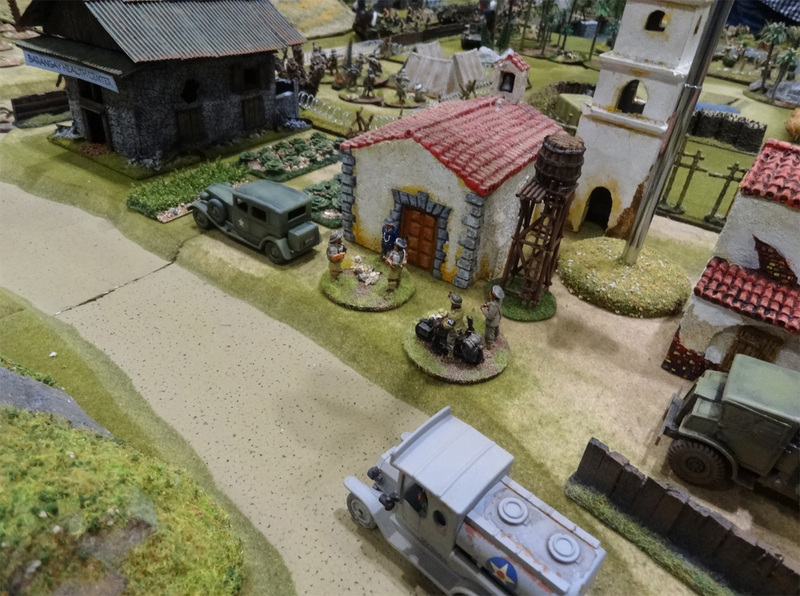 A Secret of the Third Reich gaming table with some exclusie minis. 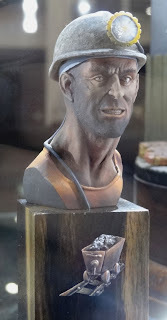 Now we made a stop at this table since WWI is kind of a passion for my uncle. This was about the Battle of Cambrai in 1917. 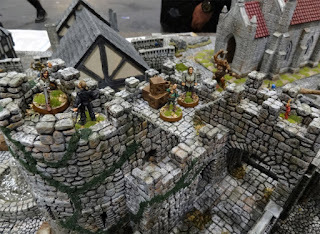 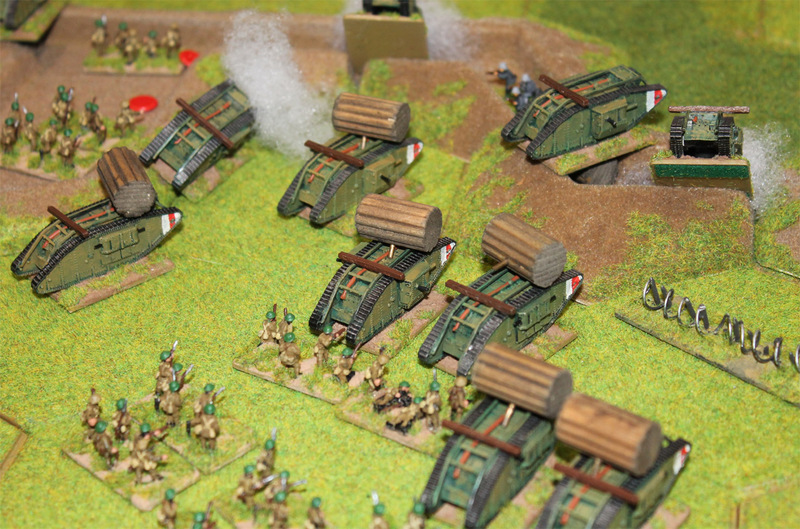 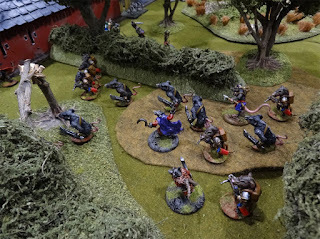 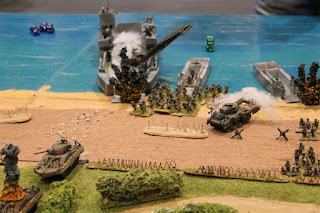 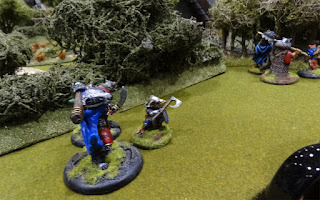 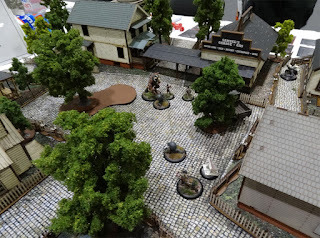 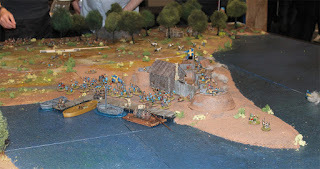 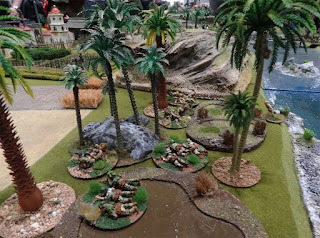 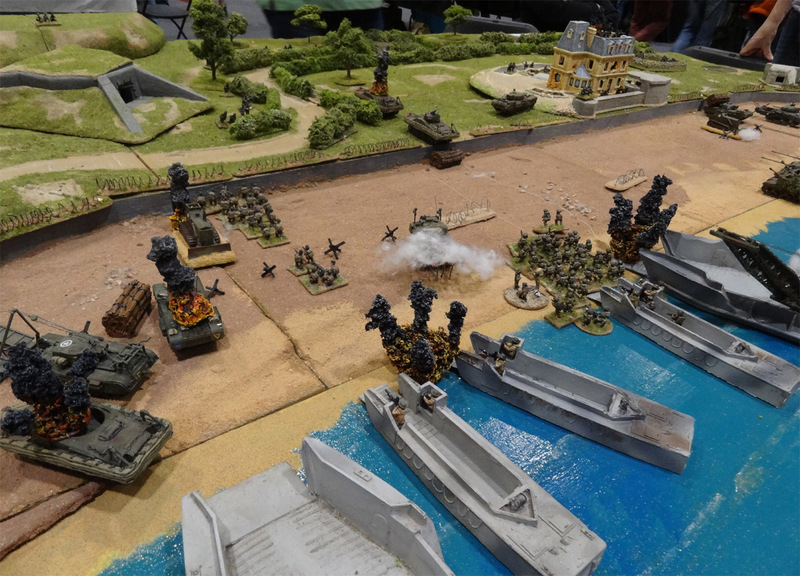 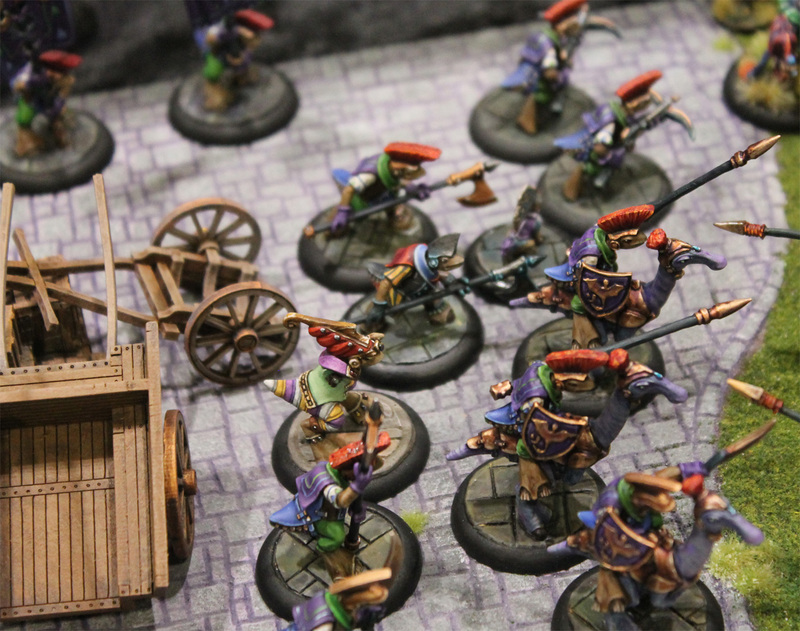 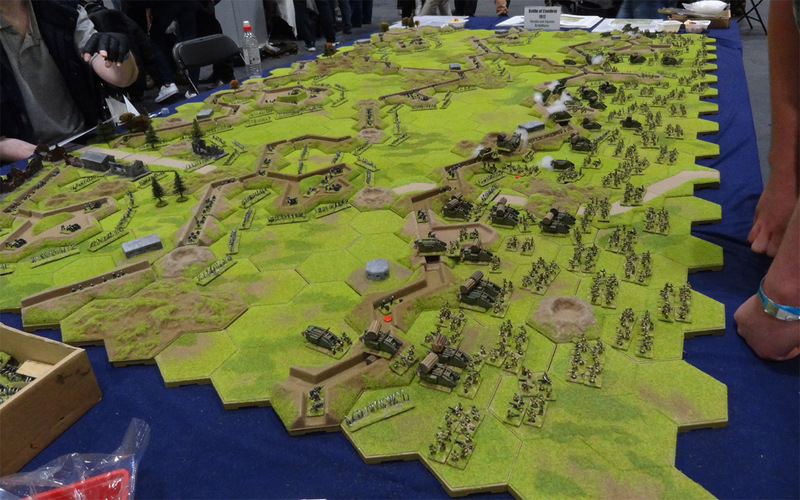 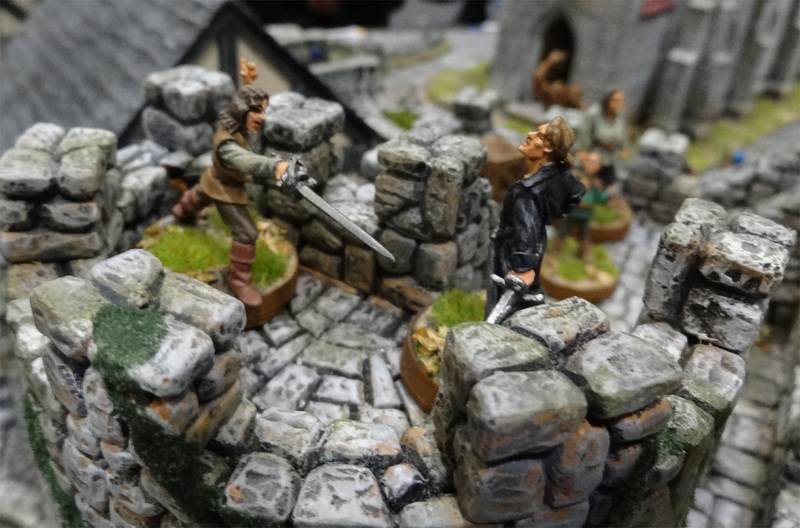 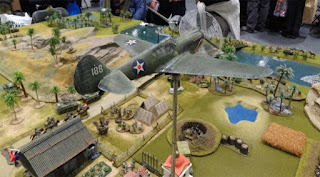 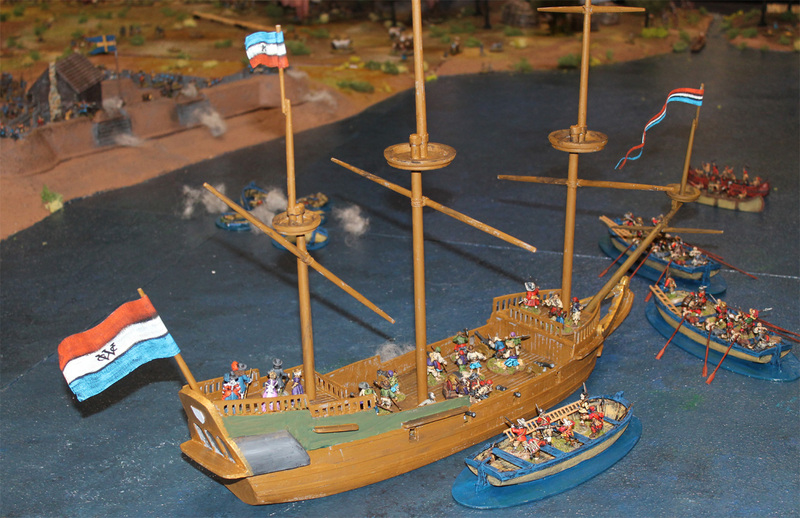 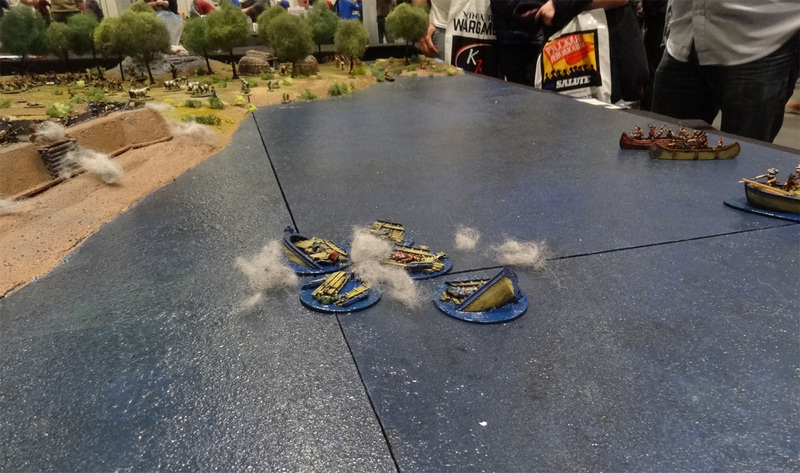 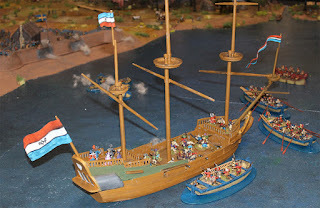 A demo game by the Wyvern Wargamers in 12mm. 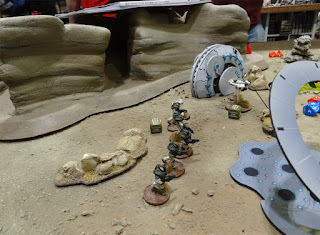 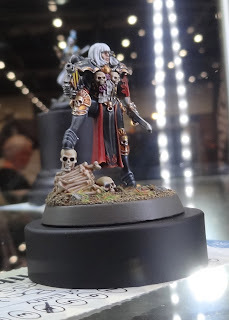 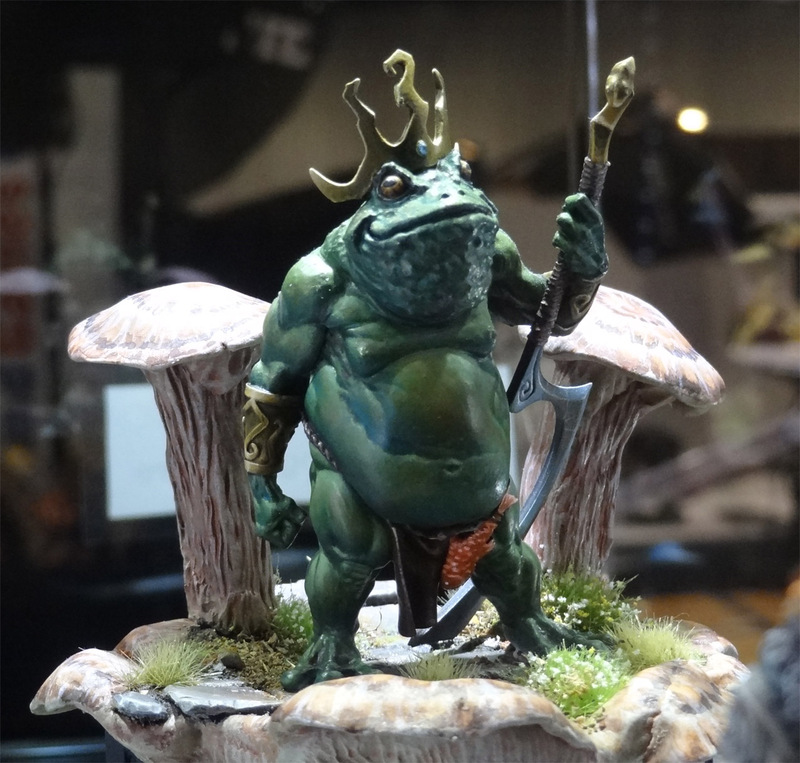 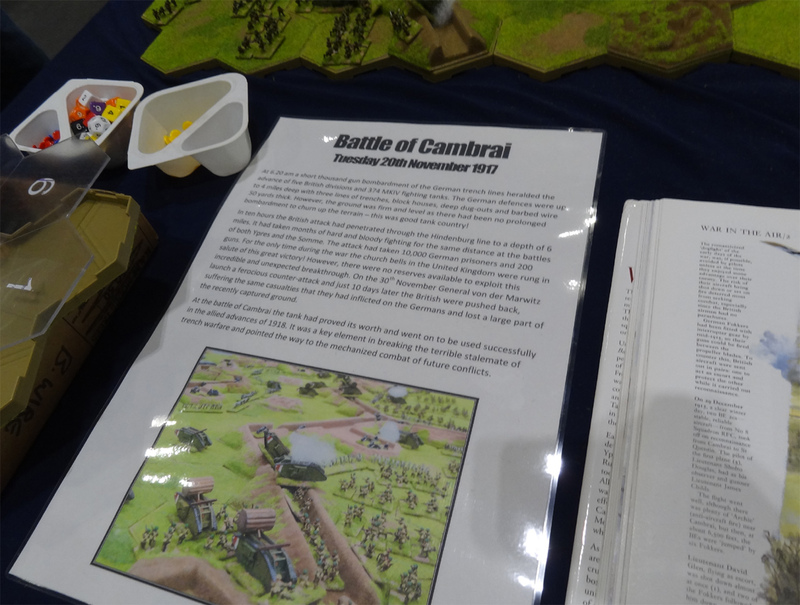 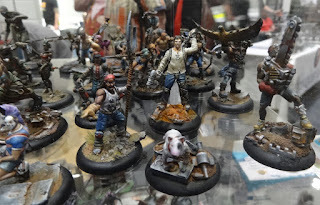 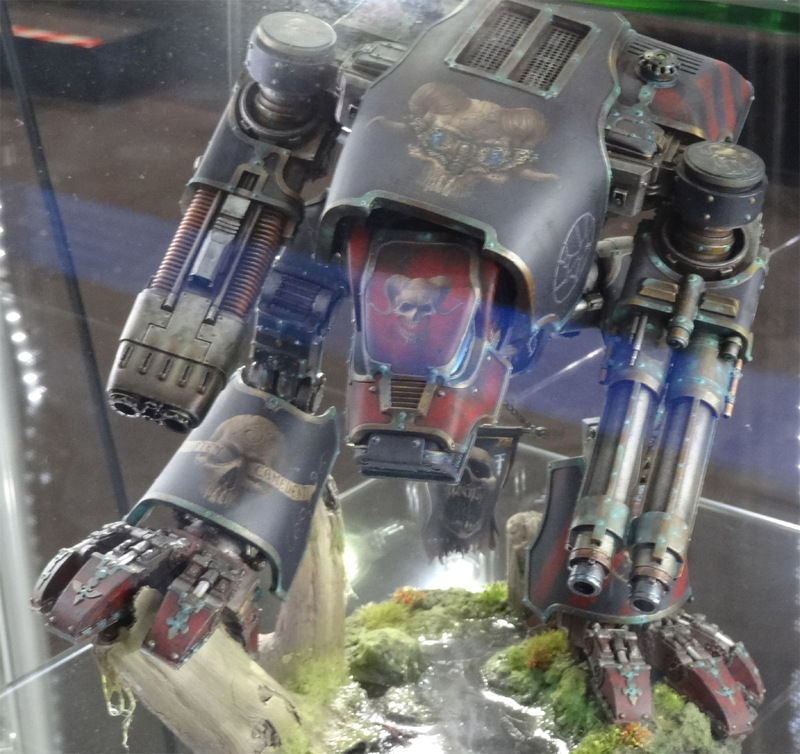 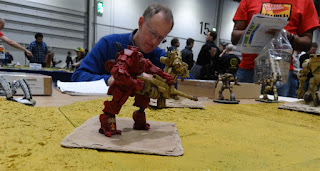 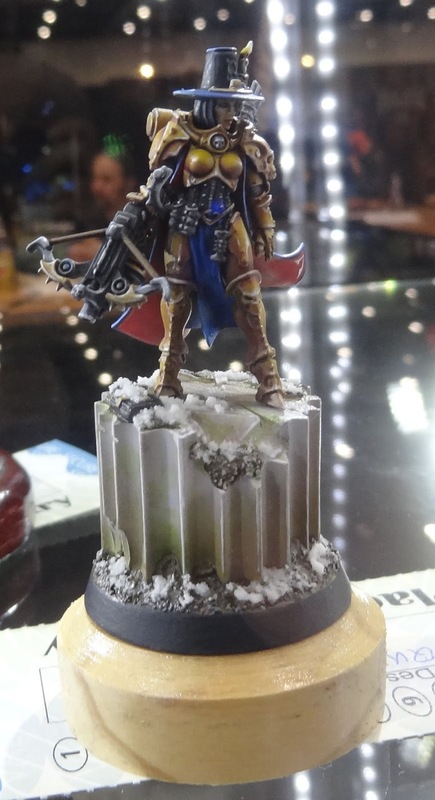 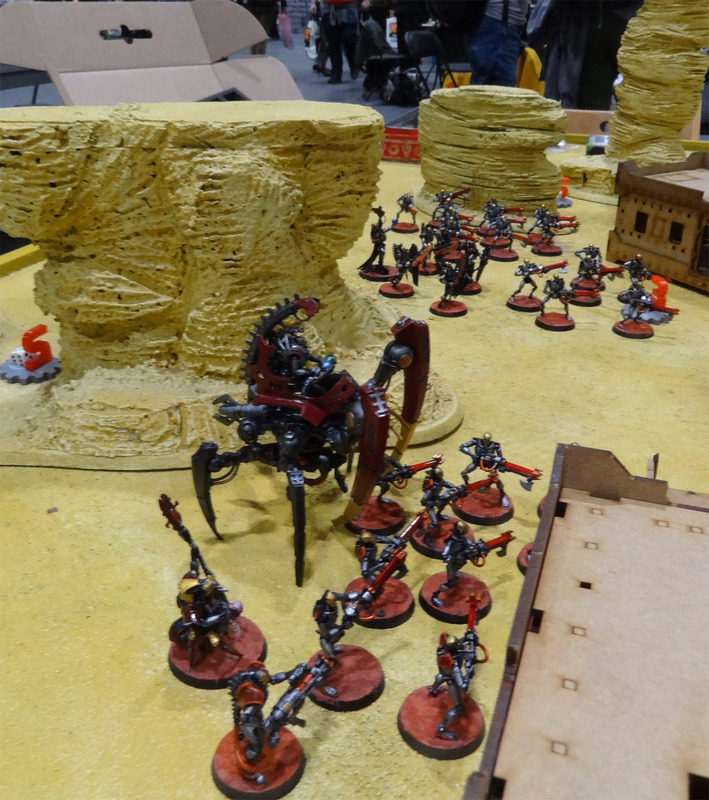 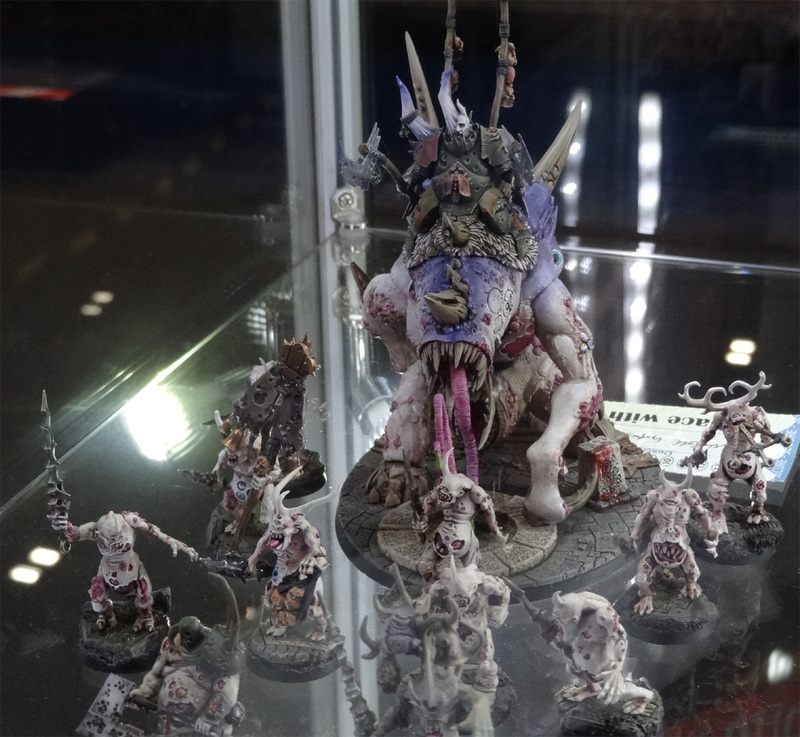 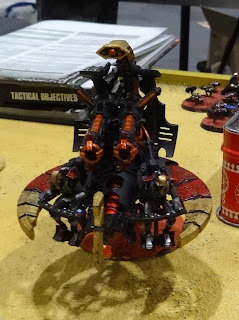 Of course, every year, there's this painting competition at Salute. And if last year, I couldn't bring you back pictures, this year, my electronic eye was (not) in my pocket, and I brought back some "shinies"!!!! 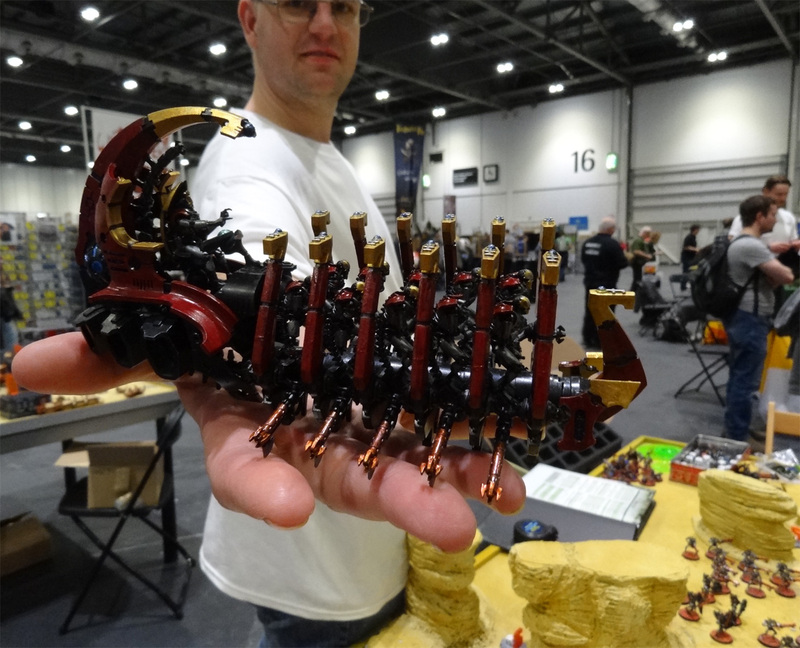 That's what I call freehands!!! 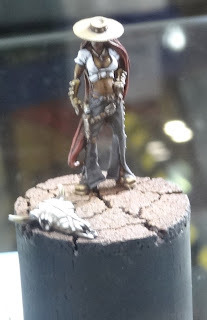 Another piece by Andrew. 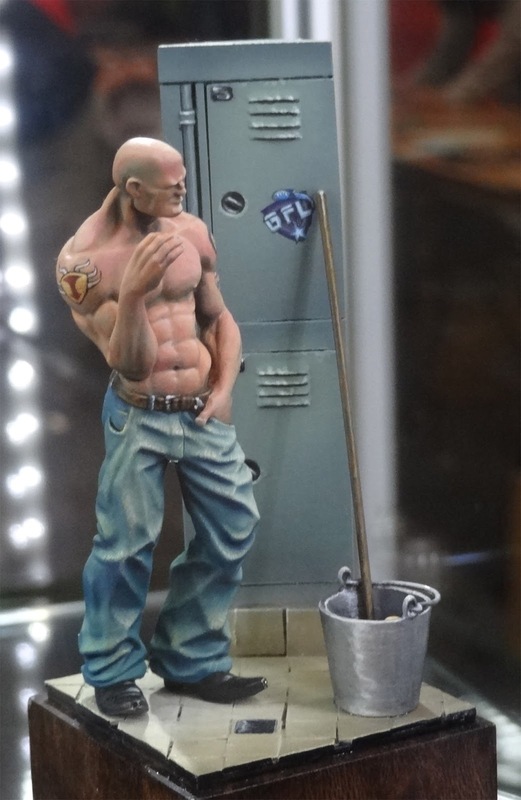 I was disapointed he didn't get anything, he honestly deserves it. Aprat from the rest of the painting, I found the contrast between the blue and the yellow particularly well thought. 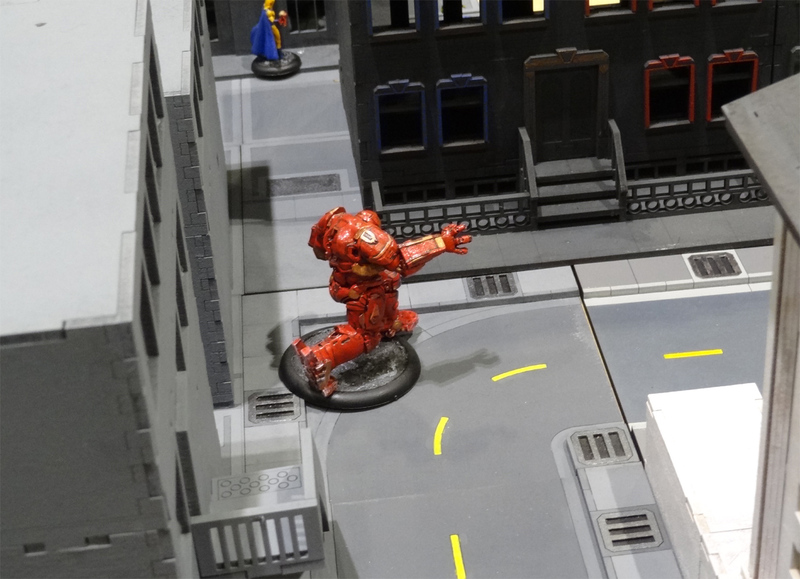 Better luck next time, Drew! 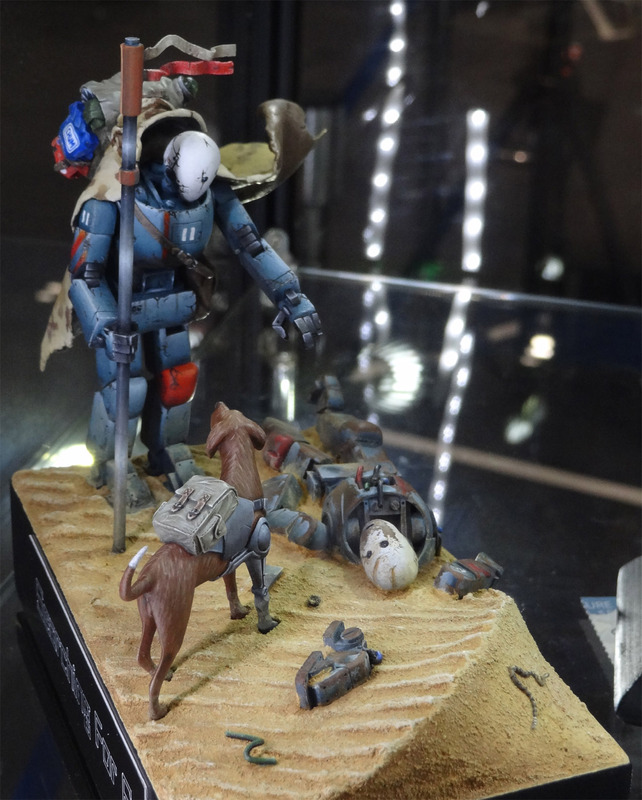 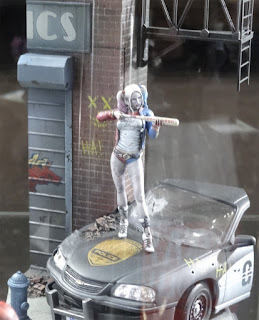 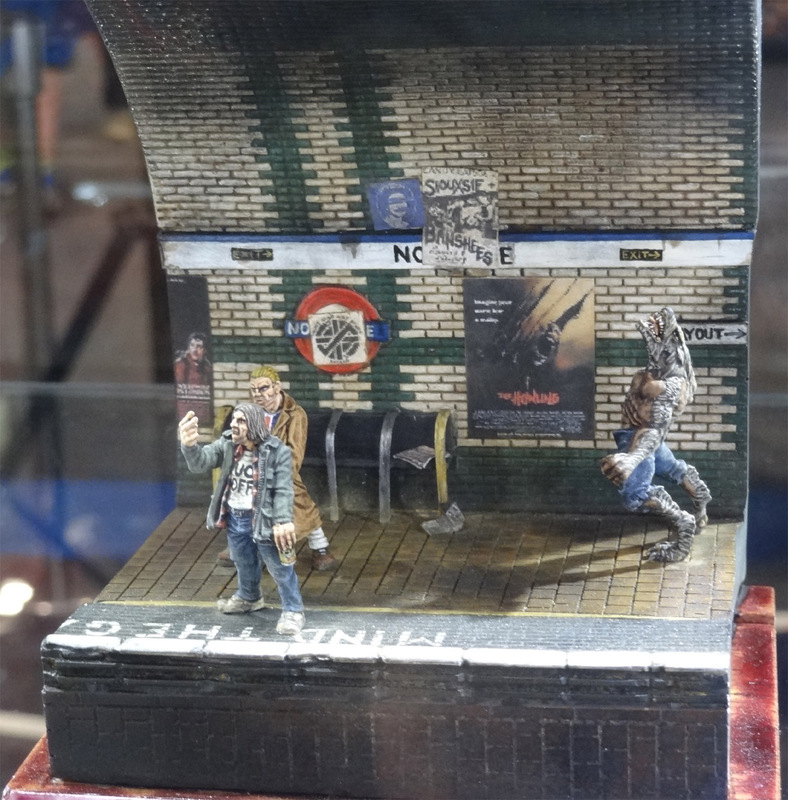 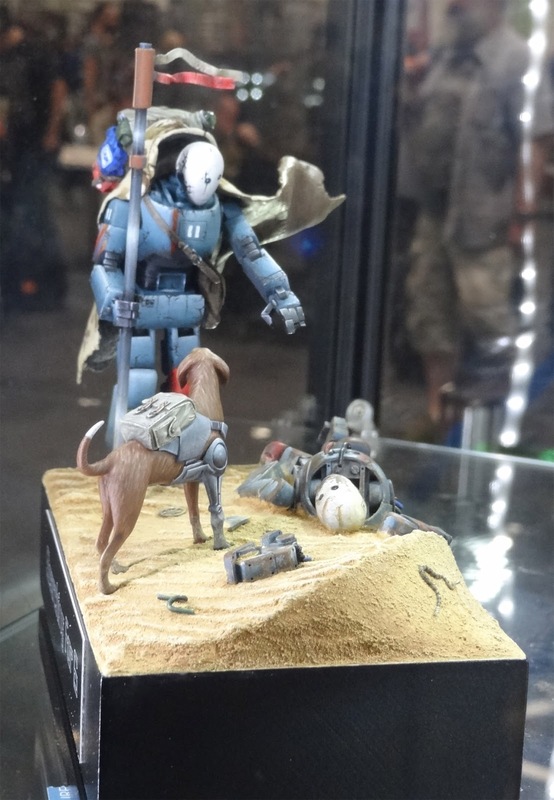 I loved the details and the references on that little diorama. Yes, Mam'zelle from last year. 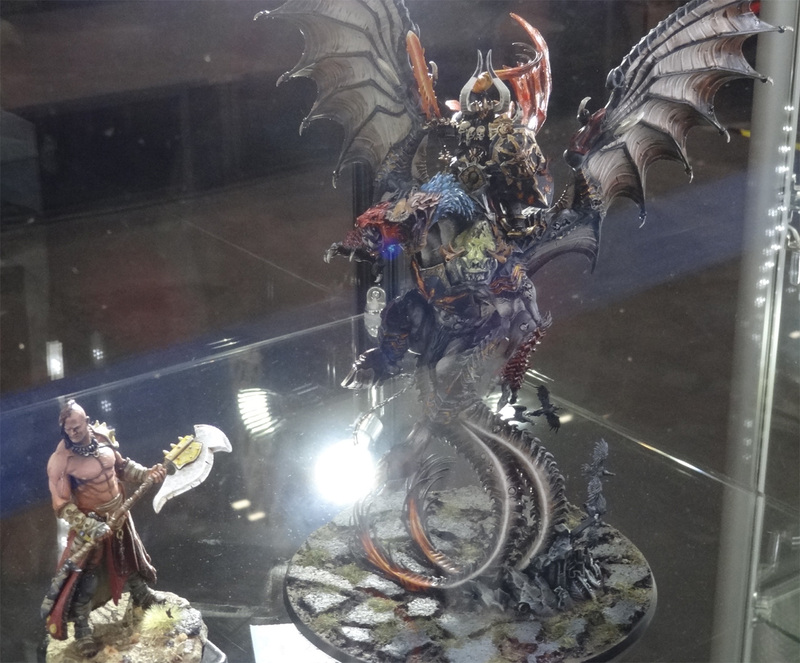 And three pictures, and somme of them not that impressive. But I'm just fond of this figure! My favourite of the whole. 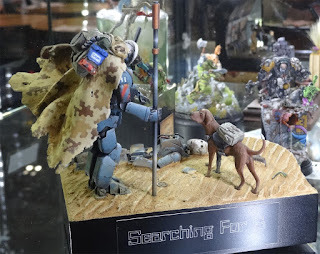 This one is cleverly done, and you can feel a story behind the display! 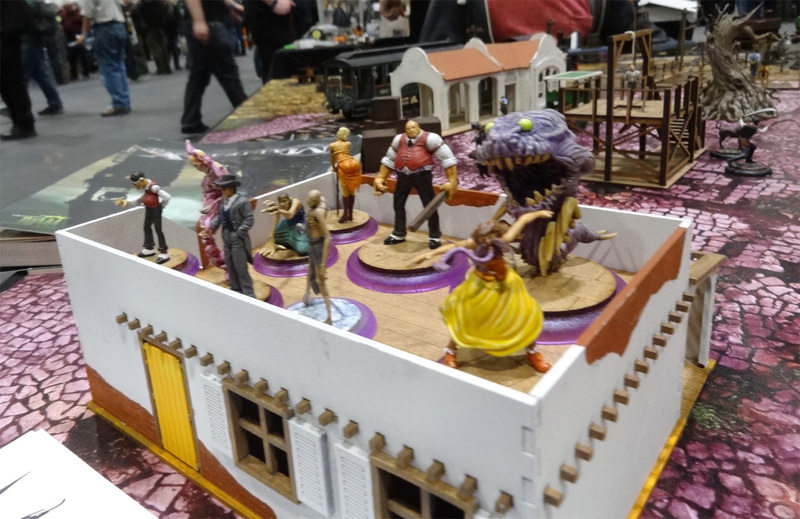 The Malifaux demo table at Simple Miniature Games stand. 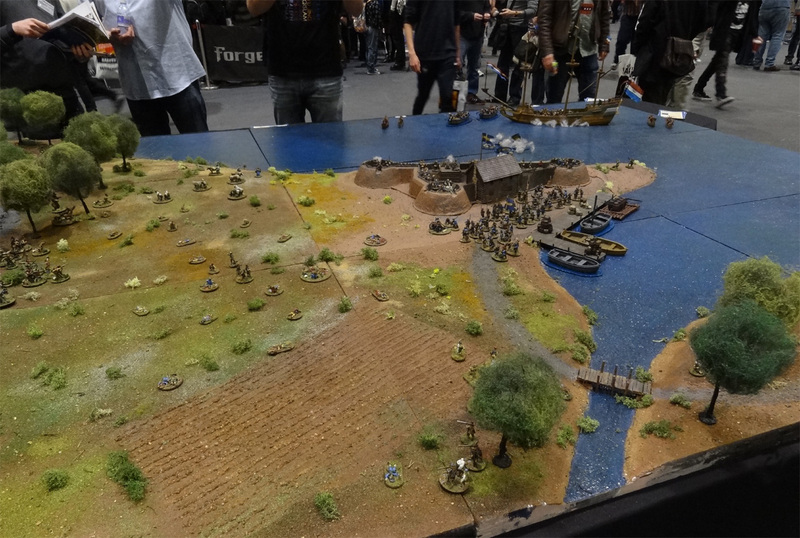 Dave Brown was demoing on this rather cool table. 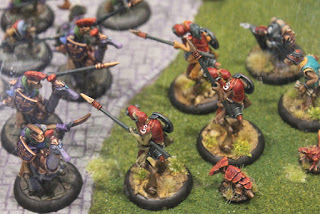 Well, the first picture of this series says it all. Beautiful table!!!! 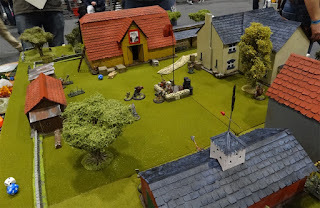 The Ministry if Gentlemanly Warfare was here, demonstrating the quality of their new "Gothic!" 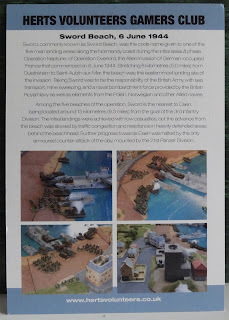 supplement for the excellent In Her Majesty's Name. 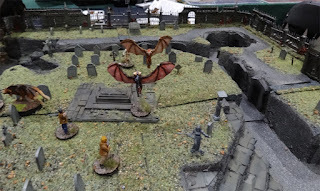 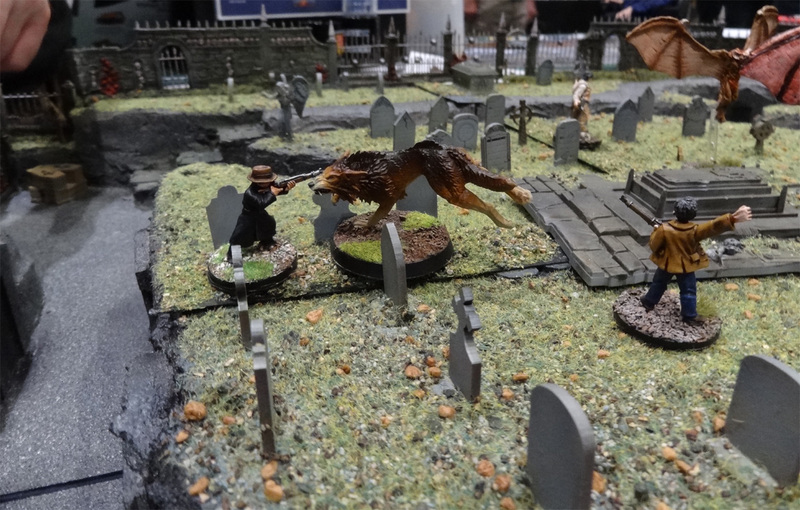 Werewolves versus vampires in an ancient graveyard!!! Couldn't recall the exact reference for this one, but oh, boy, did I like this board! The very kind of detail which makes me crazy for a game... It's totally useless in game, but it's what makes it "realistic"!!! The Bortherhood of Mars was here for the second year, and their table is still wonderfull. 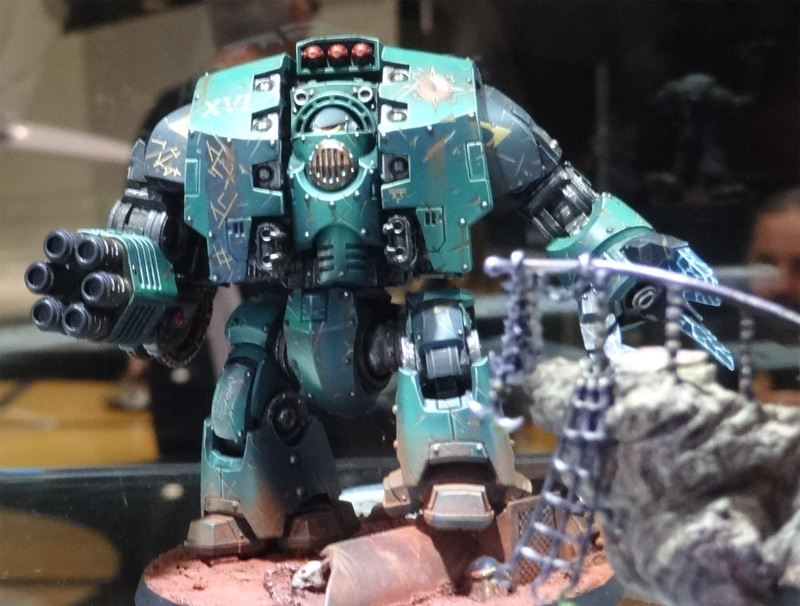 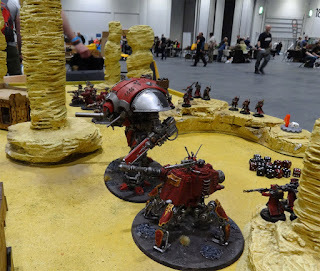 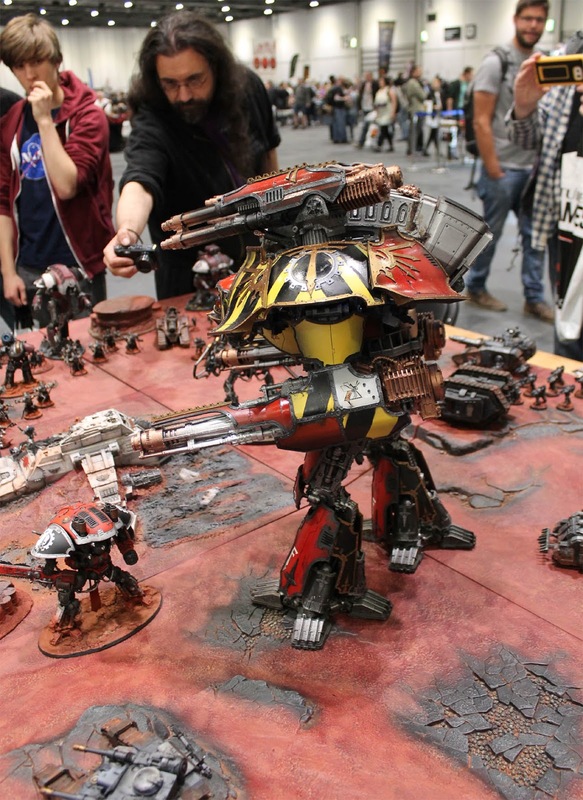 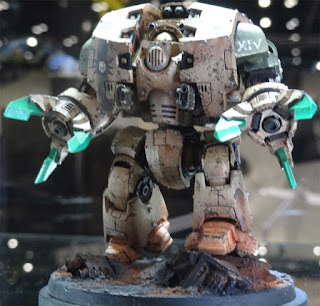 If you love 40k Titans and giant robot battling it over a 41st Millenia battlefield, it's what you have to see!!! 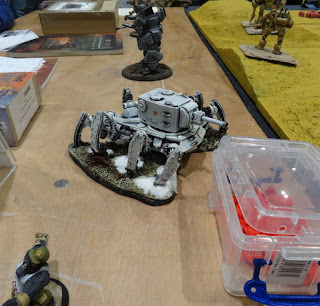 I was soooo disapointed I couldn't get to say hello to my good old friend Lawrence (where in the Name of the Emperor were you when I came around?)! 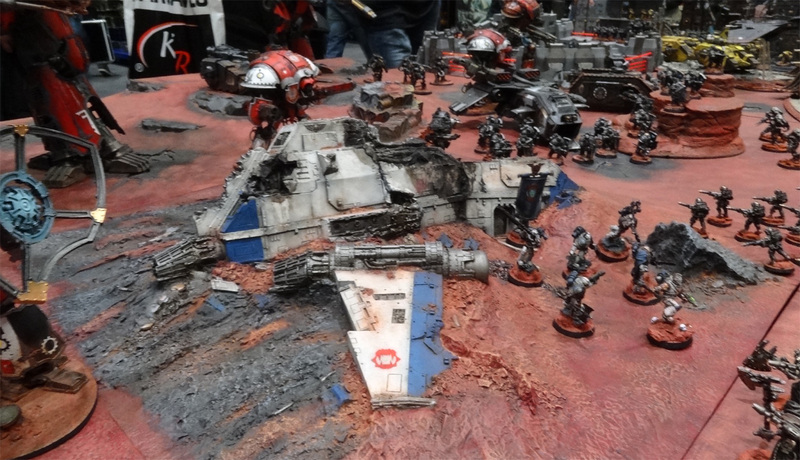 Yes, that's me taking a picture of a wrecked ThunderHawk. 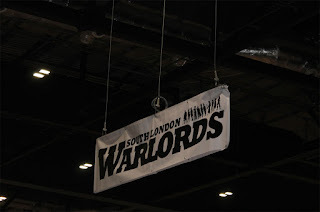 Don't think the Warlord left me unimpressed! 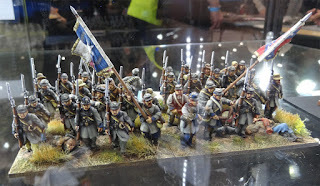 And now for some several displays which caught my eye! 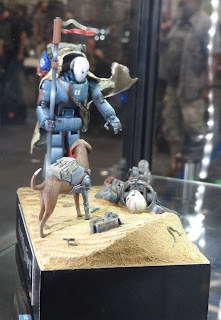 Eden! The French game which crosses the seas!!! 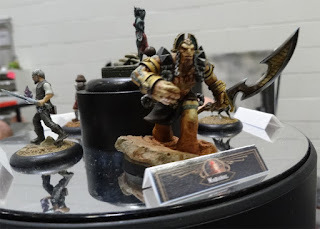 Had a great chat with Mohand, who's a real nice fellow! 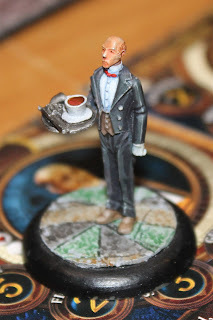 Thanks for the cup of tea, man! 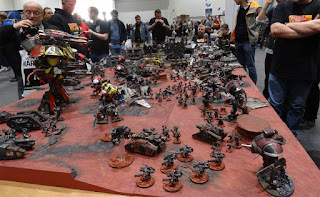 This was a 40k demo table. And ad I told them : "If there be necrons, I Must take some pictures!!!!" 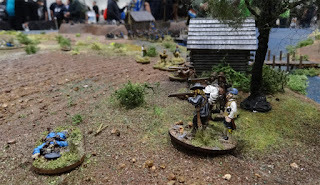 Montoya and the Dreadful pirate Roberts are fencing over the edge!!! Here's the day loot!!! 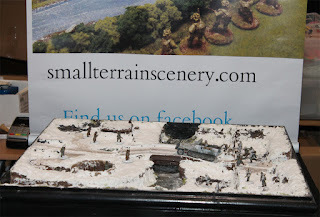 More on that next week!!! Come on! After a day like this, you can only finish at the pub with some good compagny!